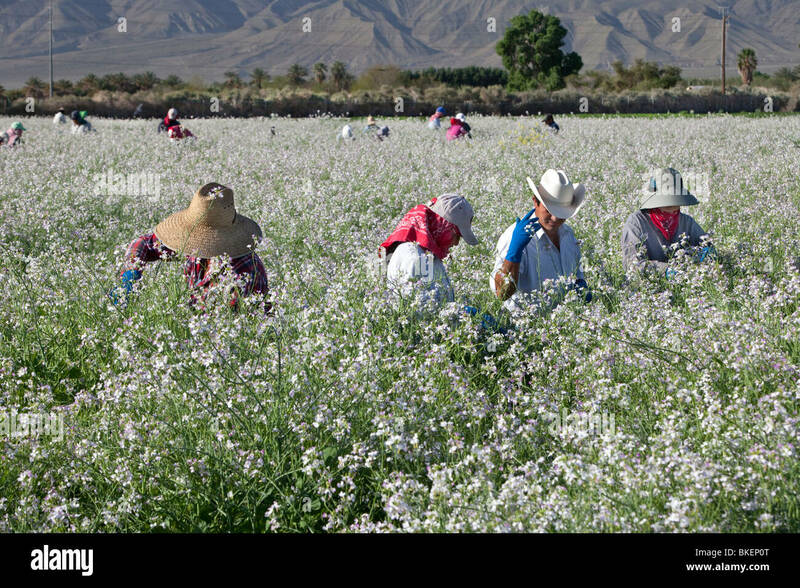 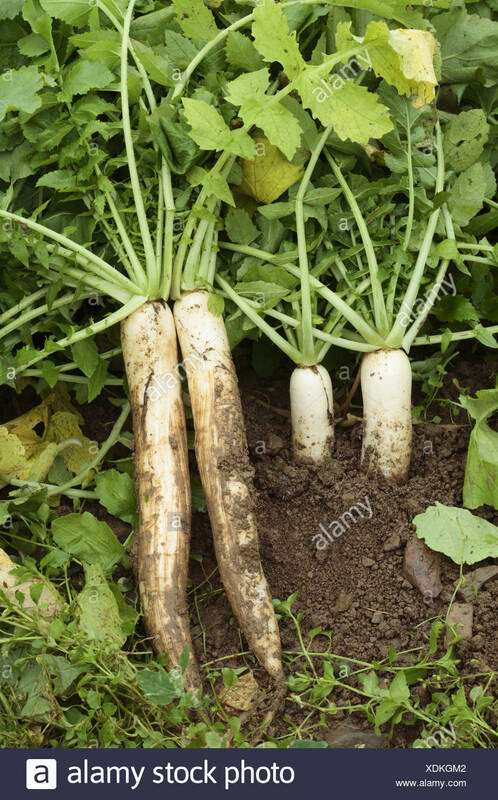 Pulling the chinese radish out of the soil during late harvest. 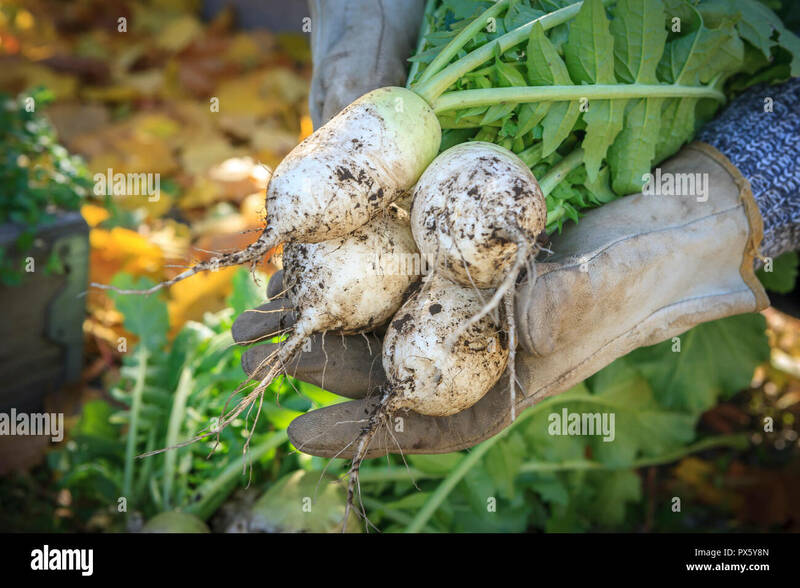 Gloved hands are holding chinese radishes that were just harvested. 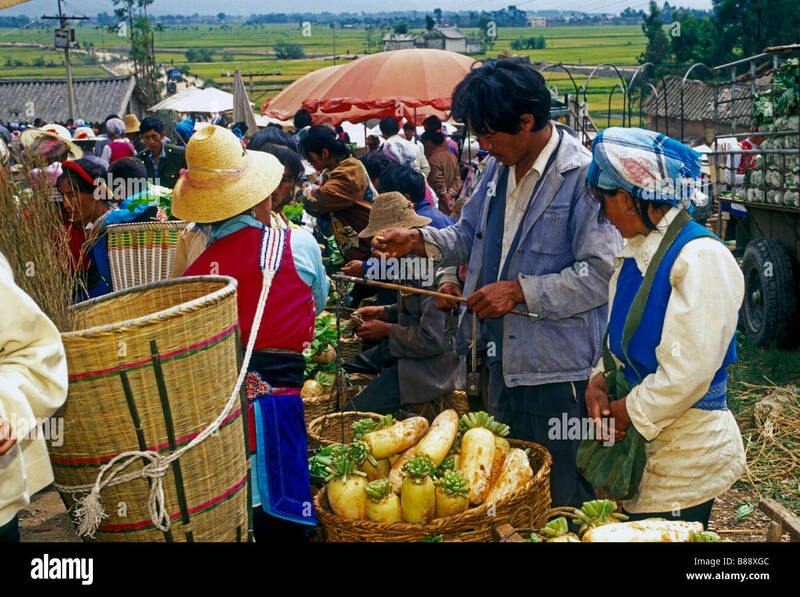 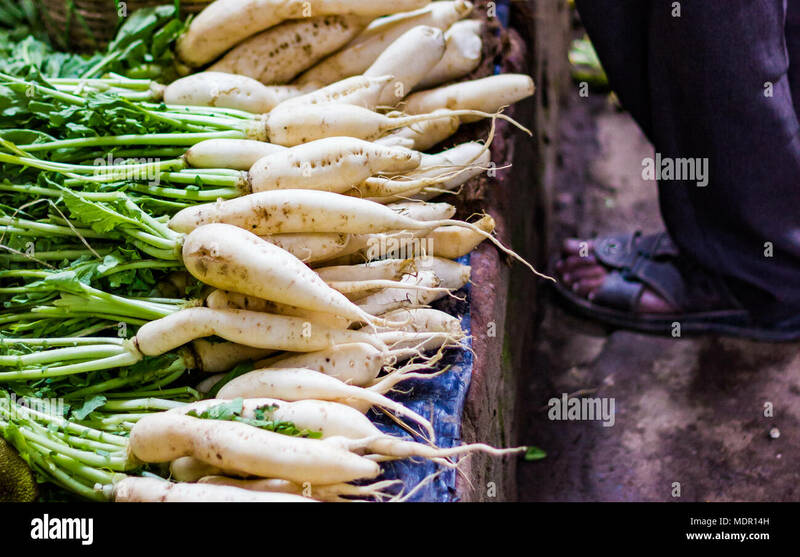 Radishes (daikon) for sale at rural market in Thimphu, Bhutan. 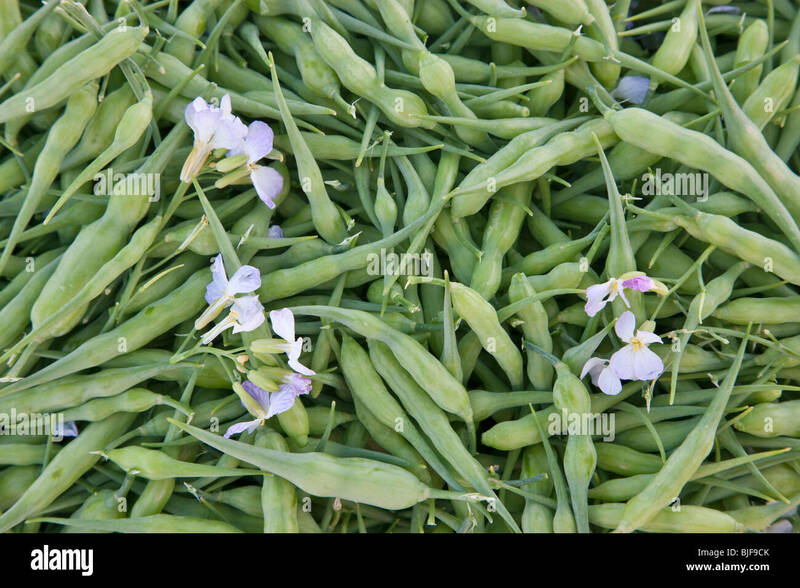 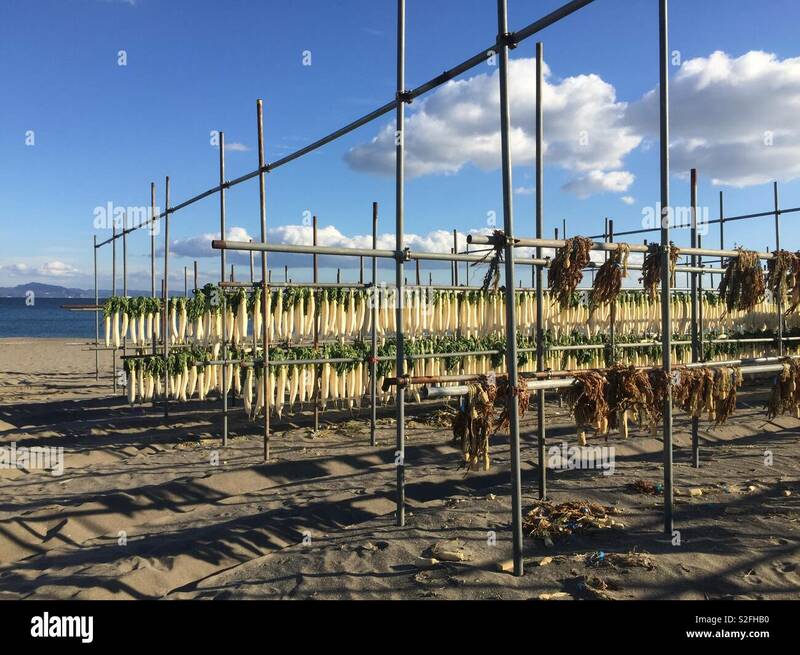 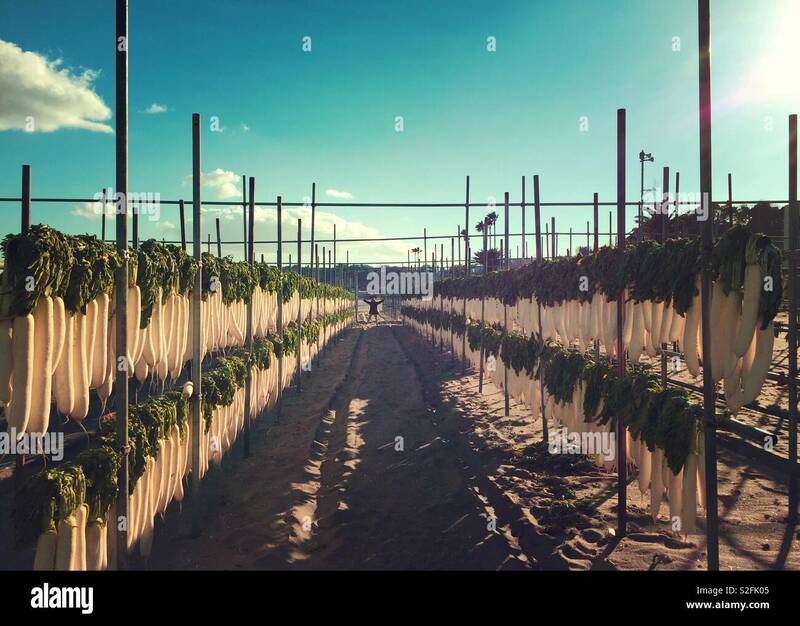 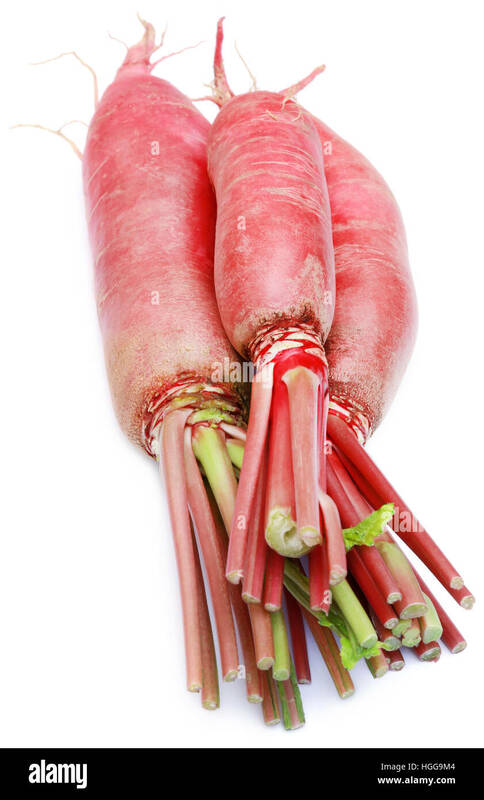 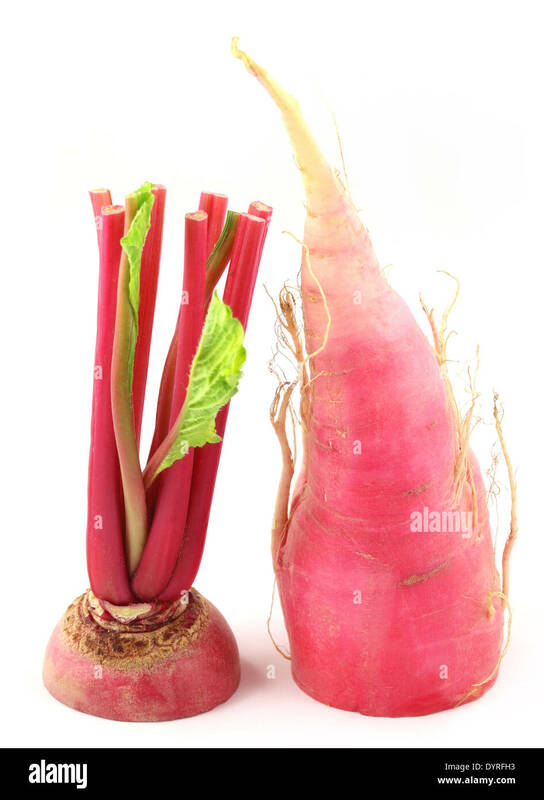 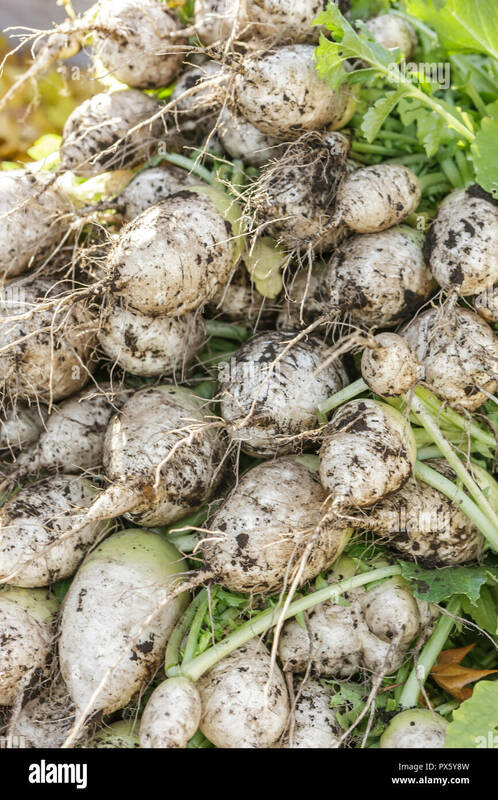 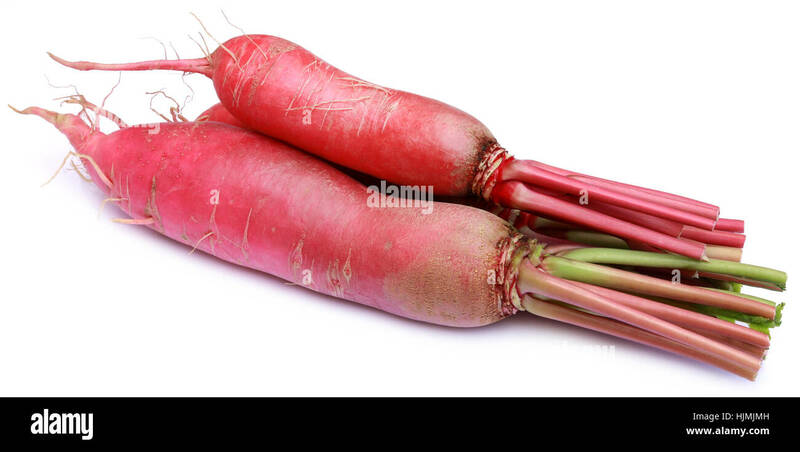 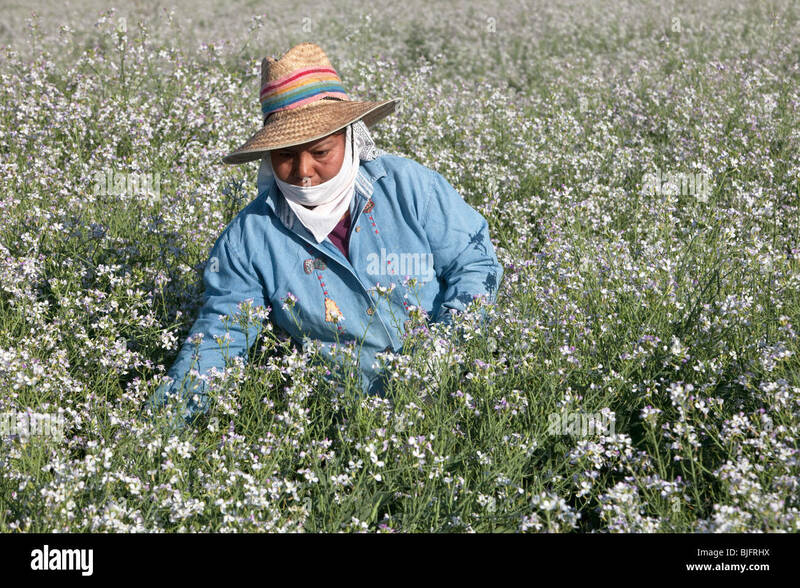 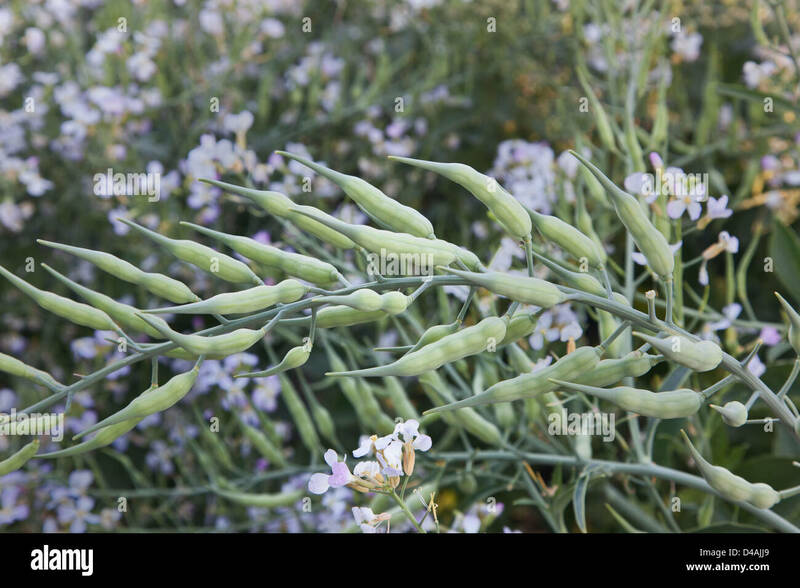 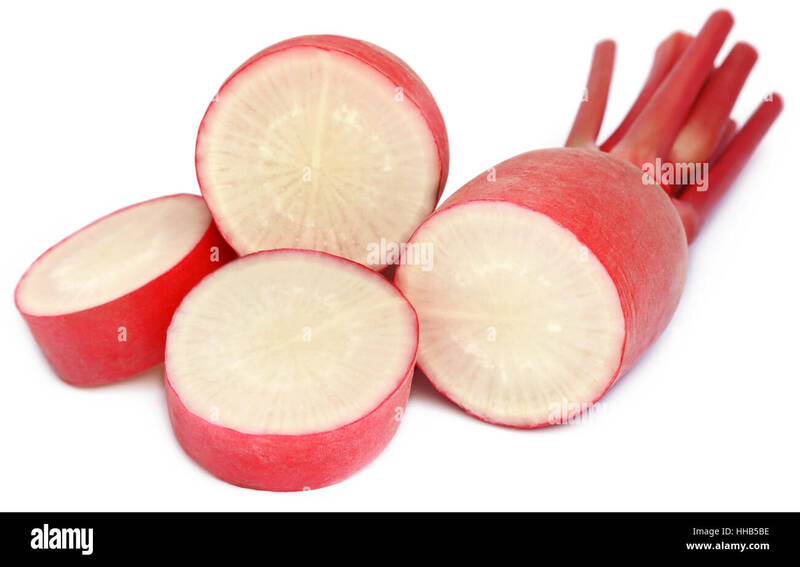 Plants of the radish roots serve very effective companion plants. 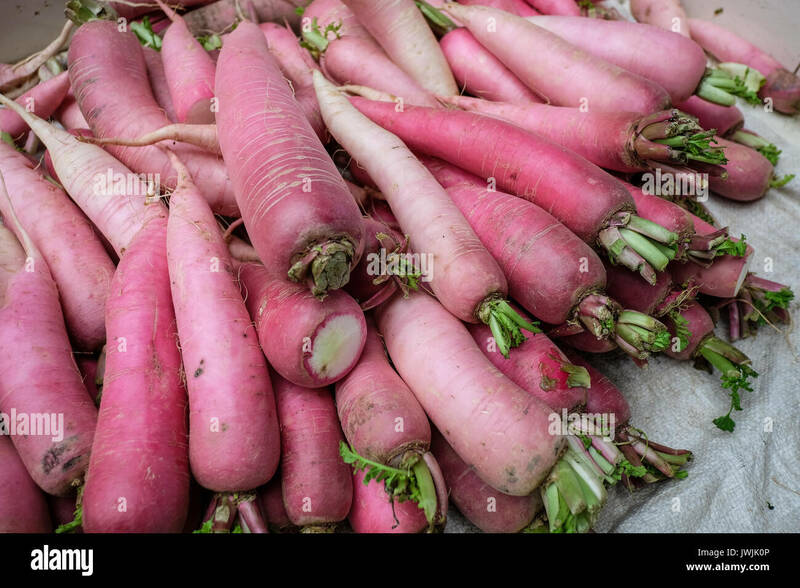 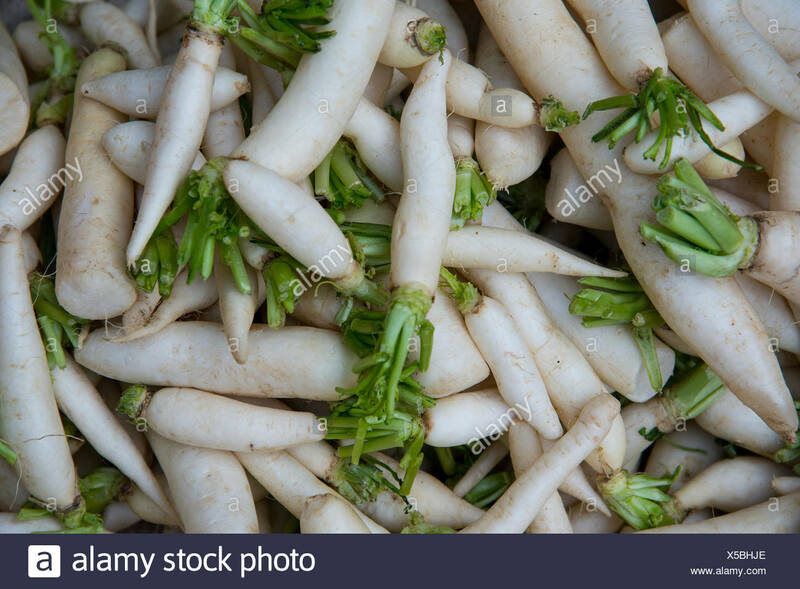 A bunch of chinese radishes in a pile after just being harvested from a garden. 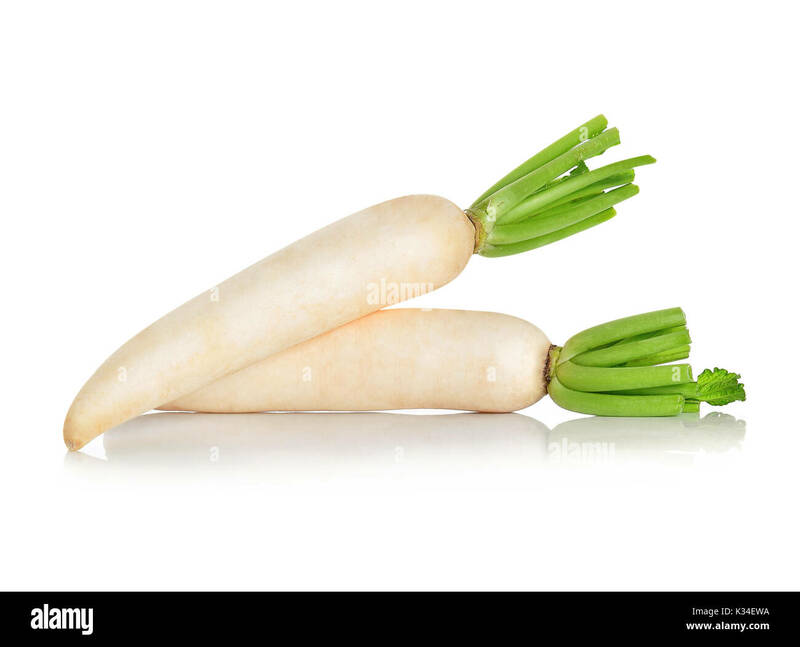 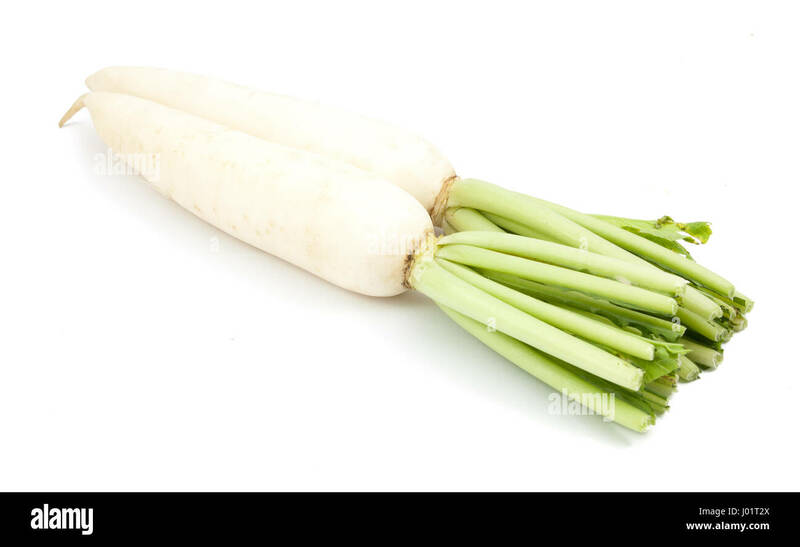 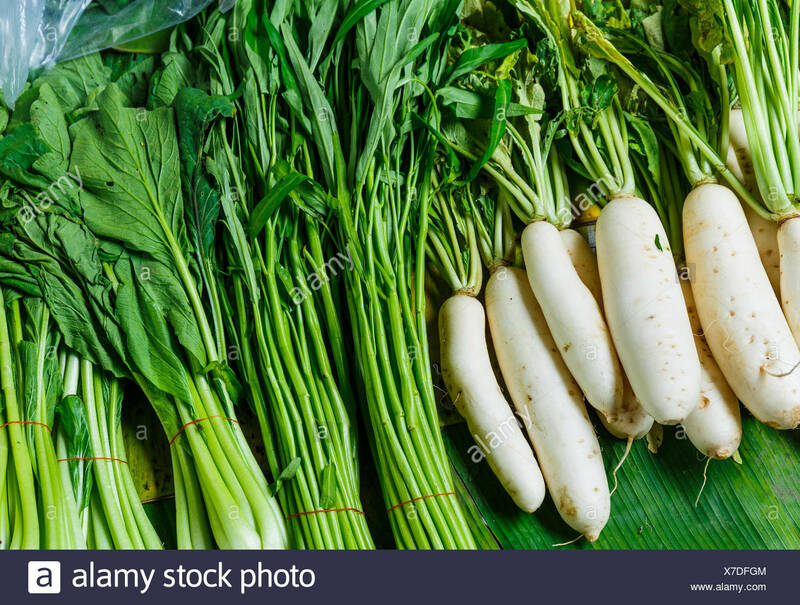 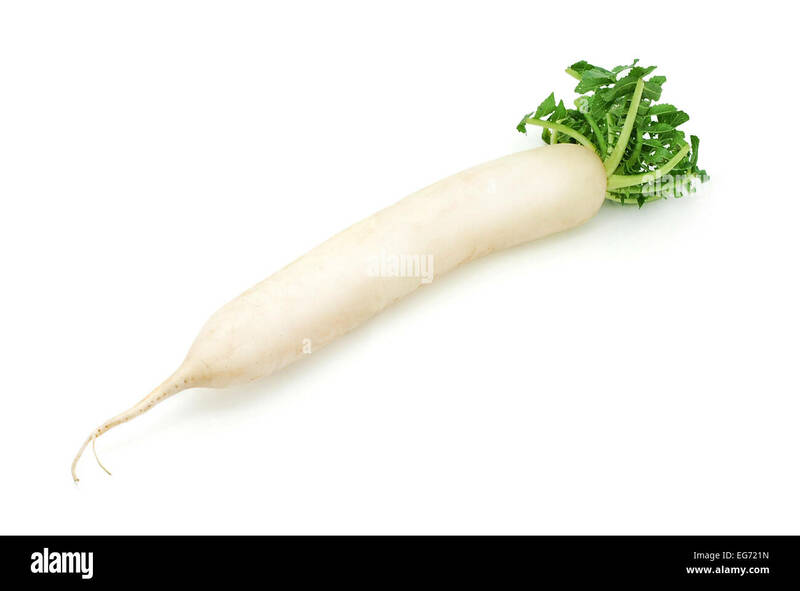 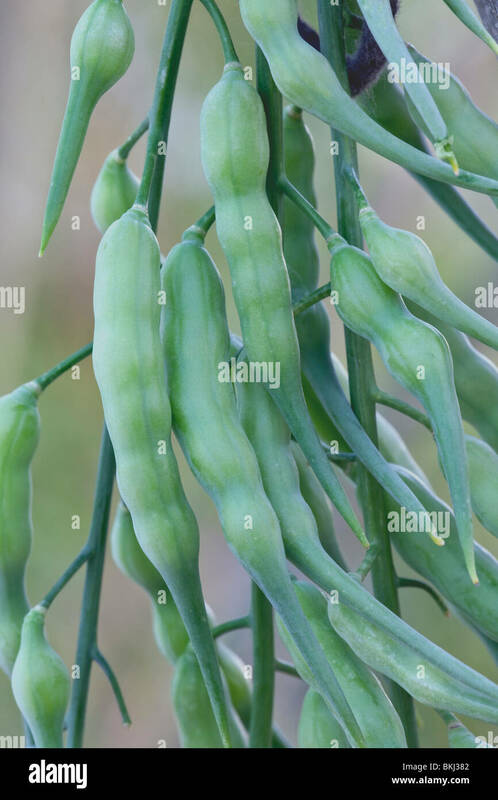 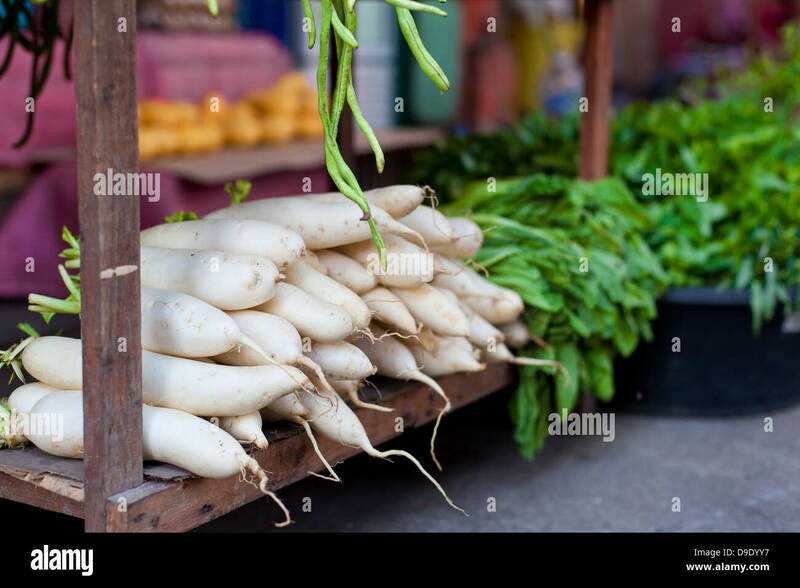 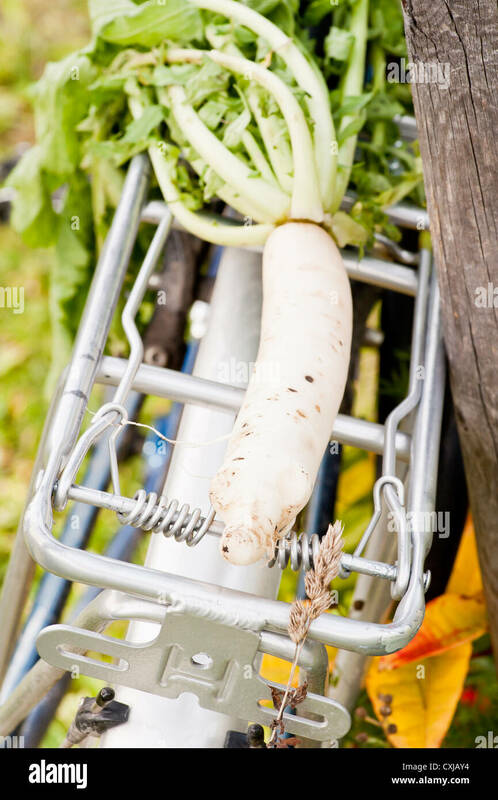 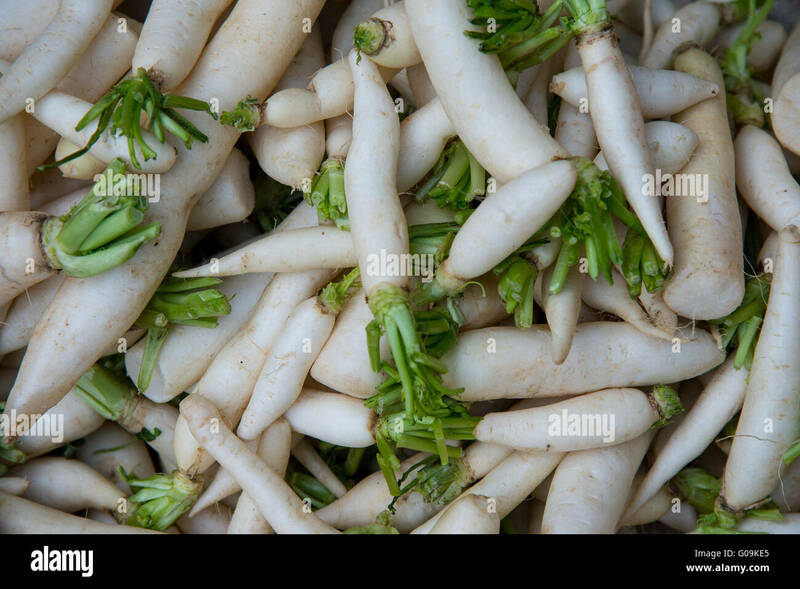 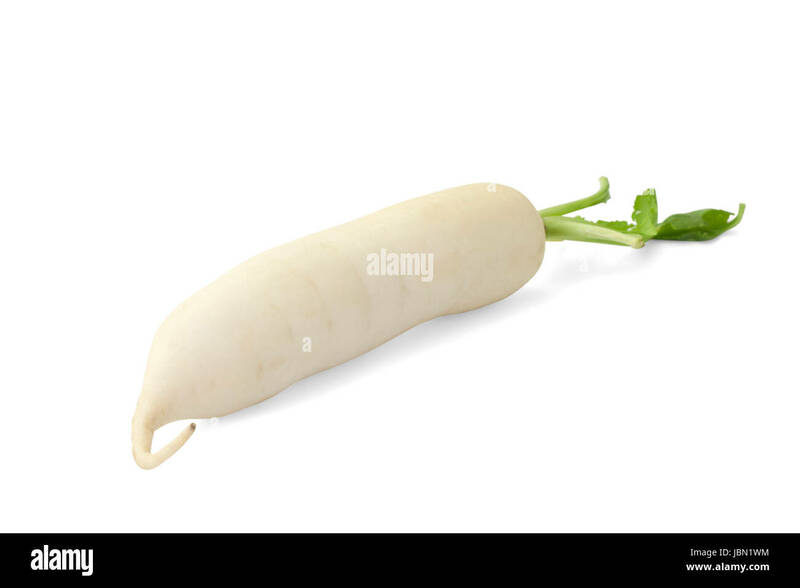 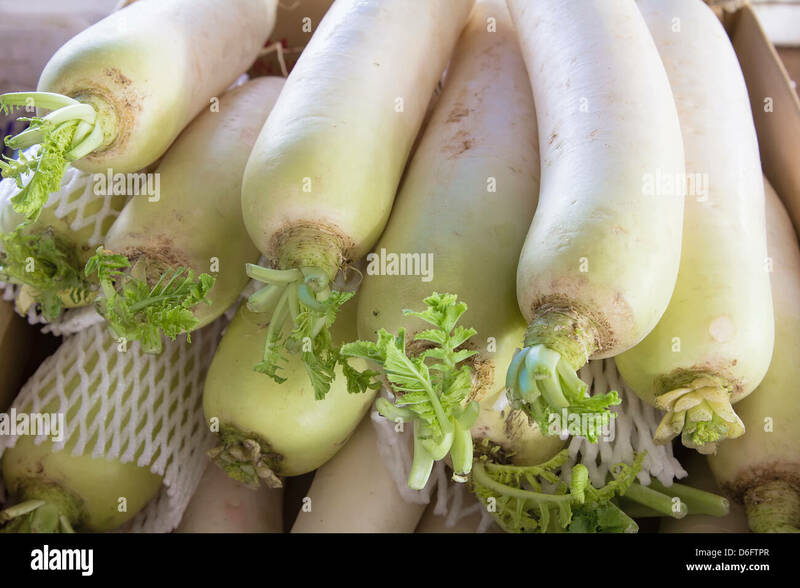 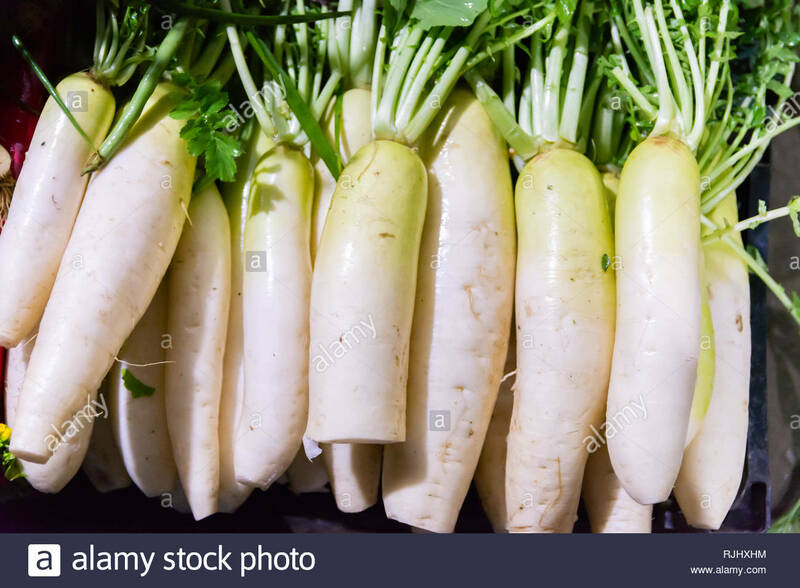 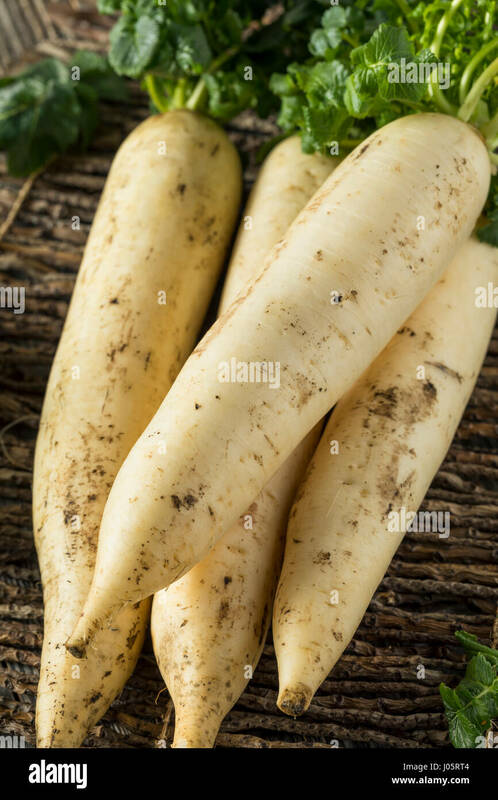 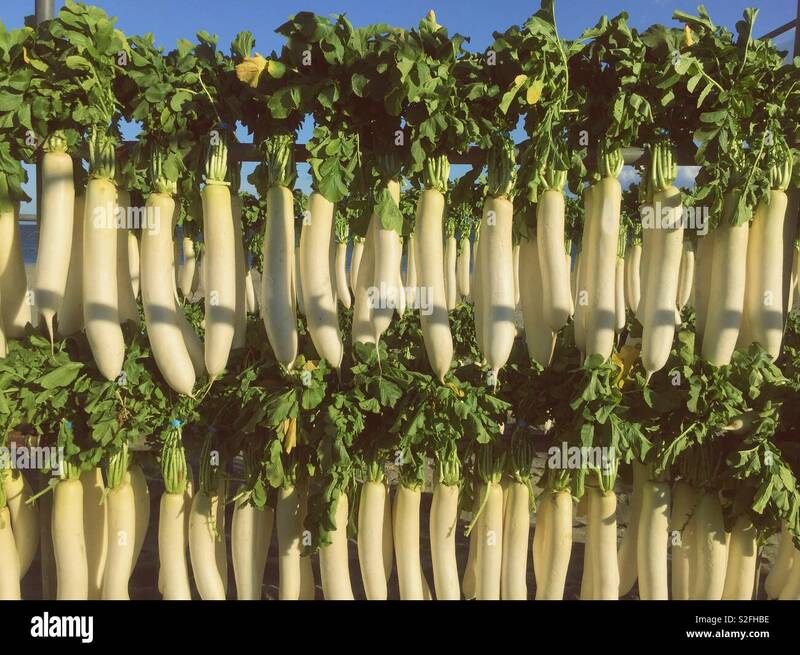 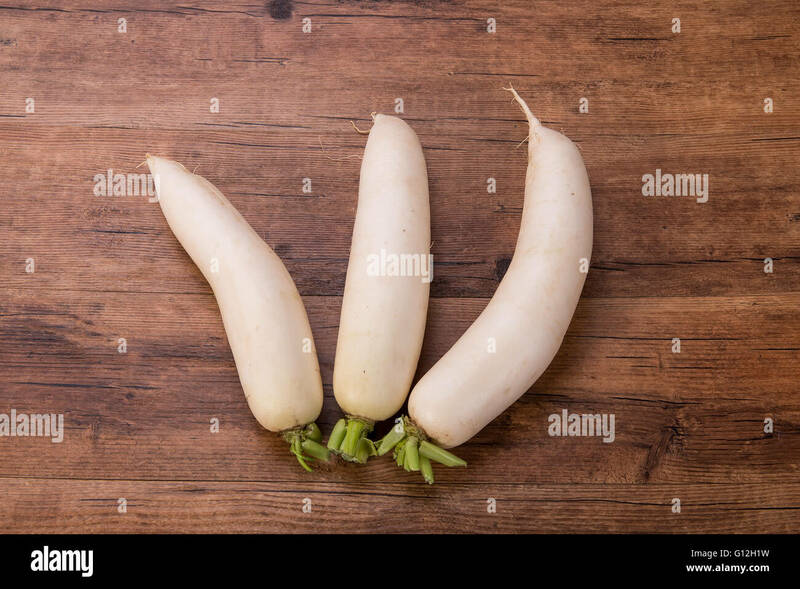 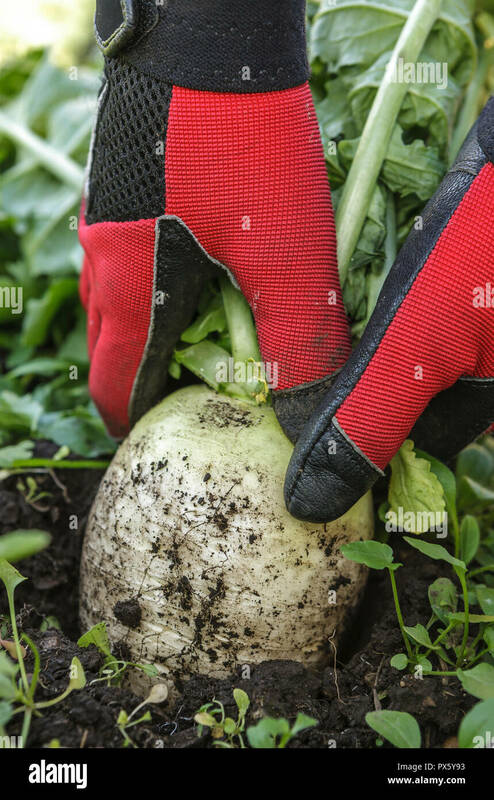 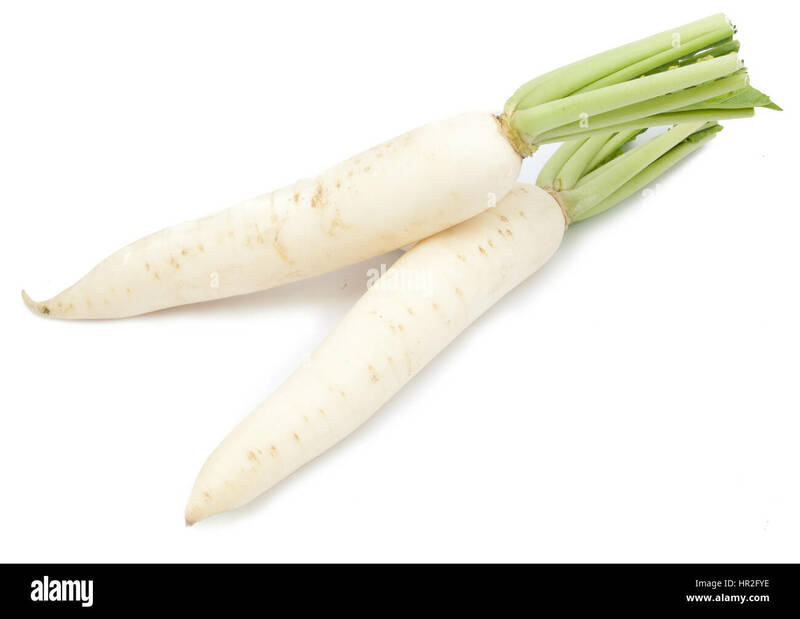 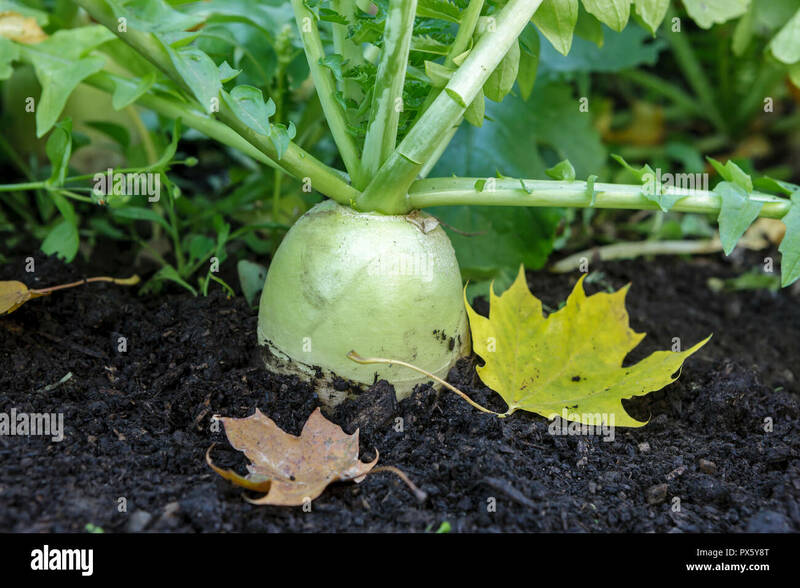 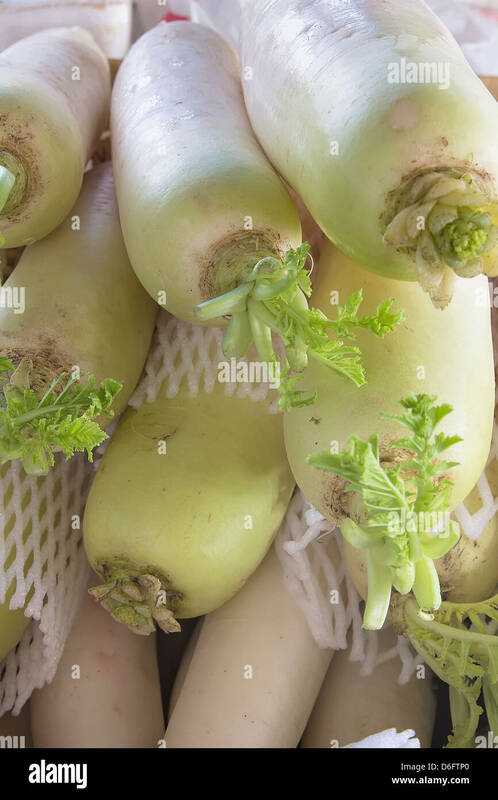 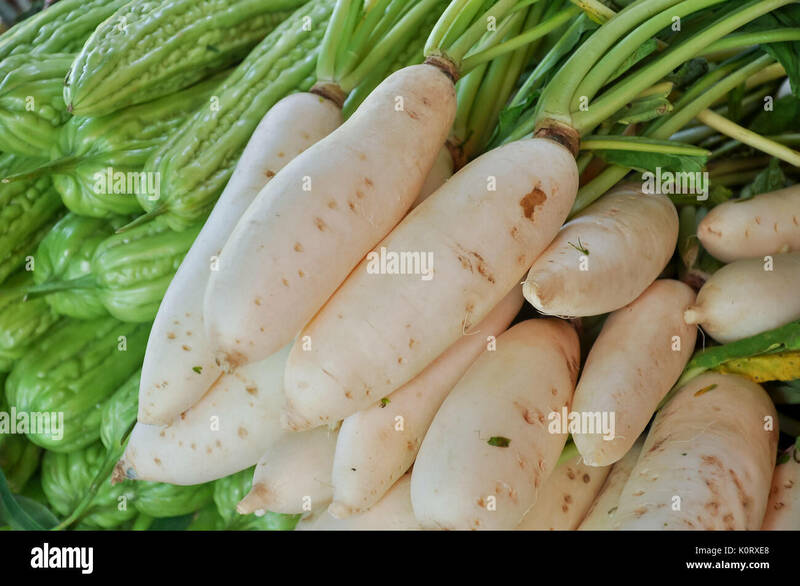 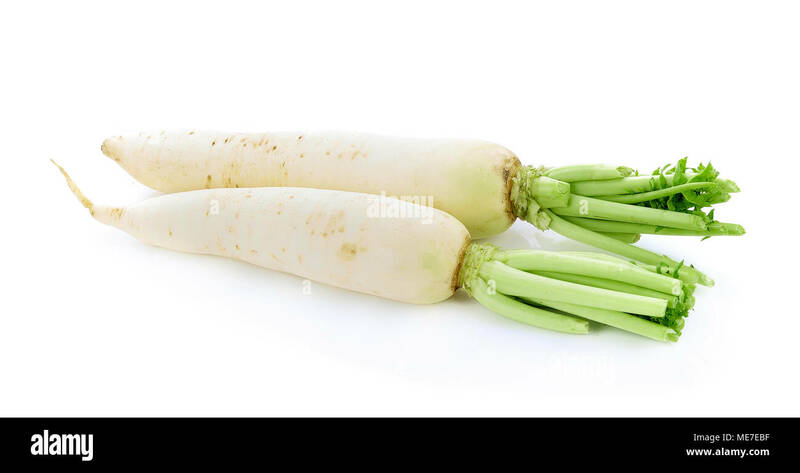 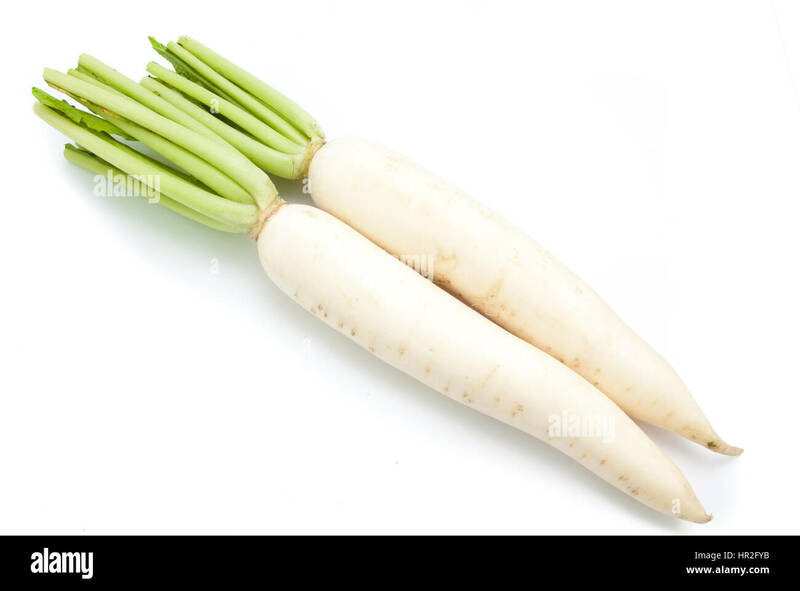 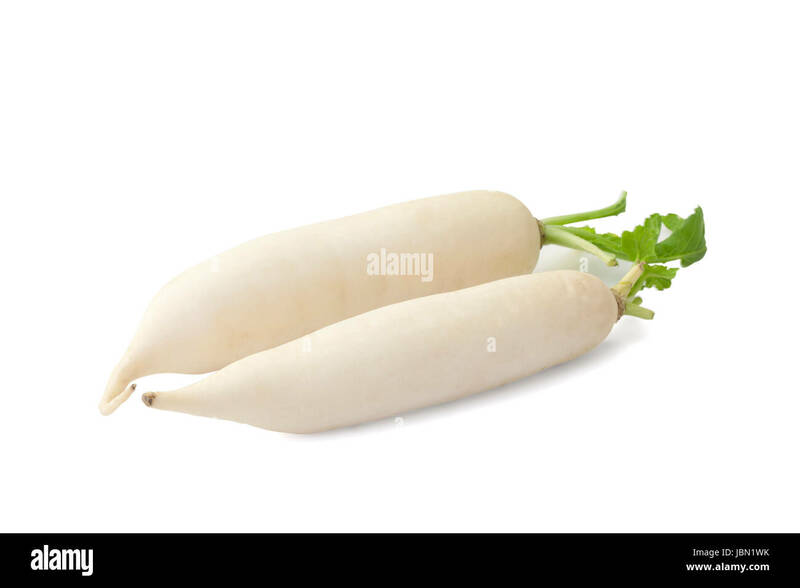 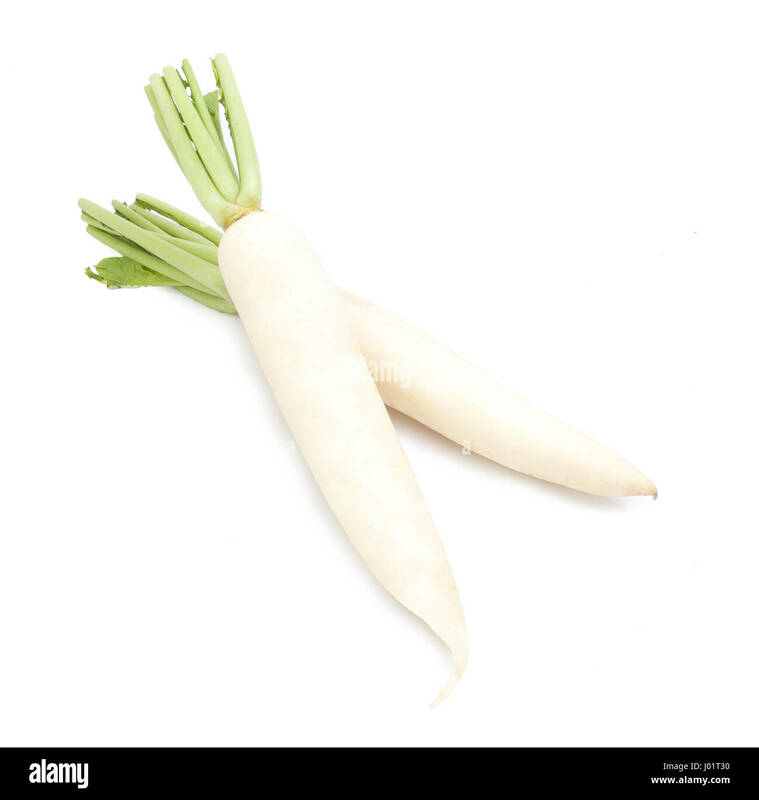 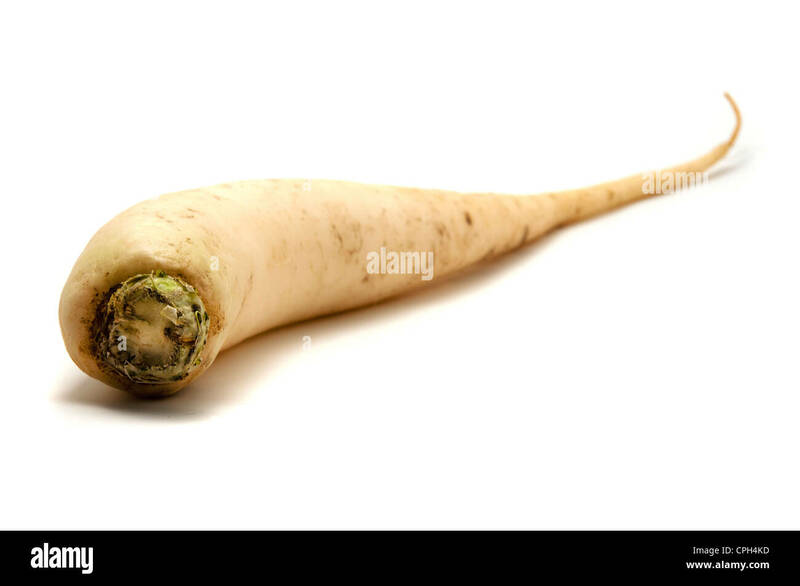 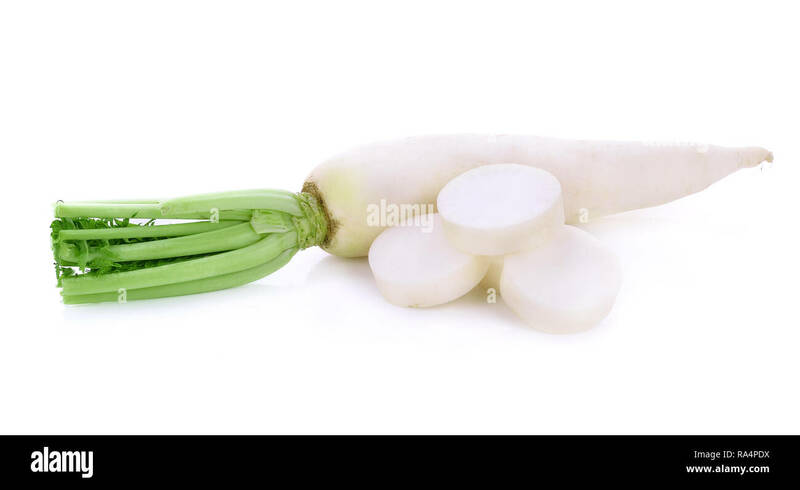 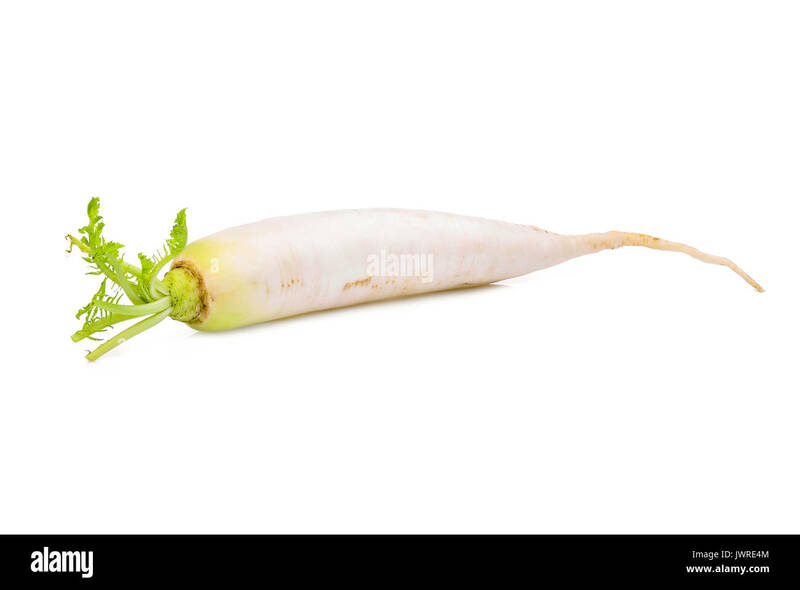 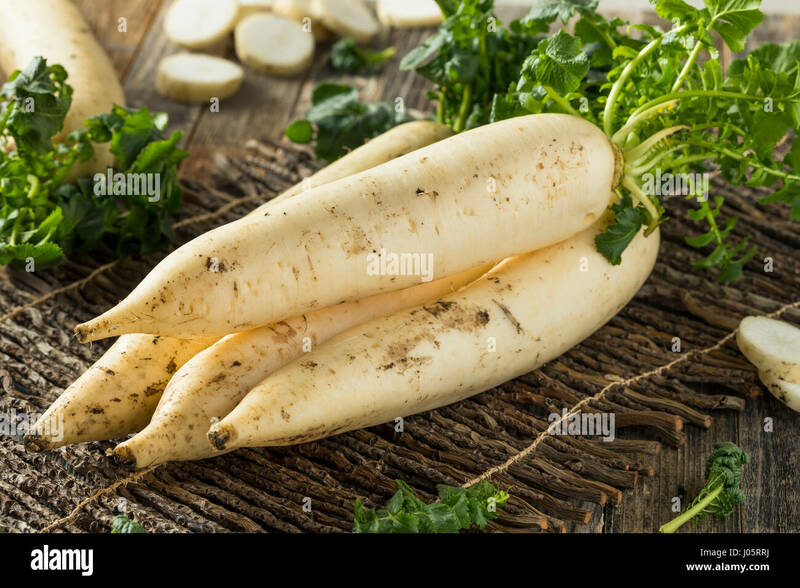 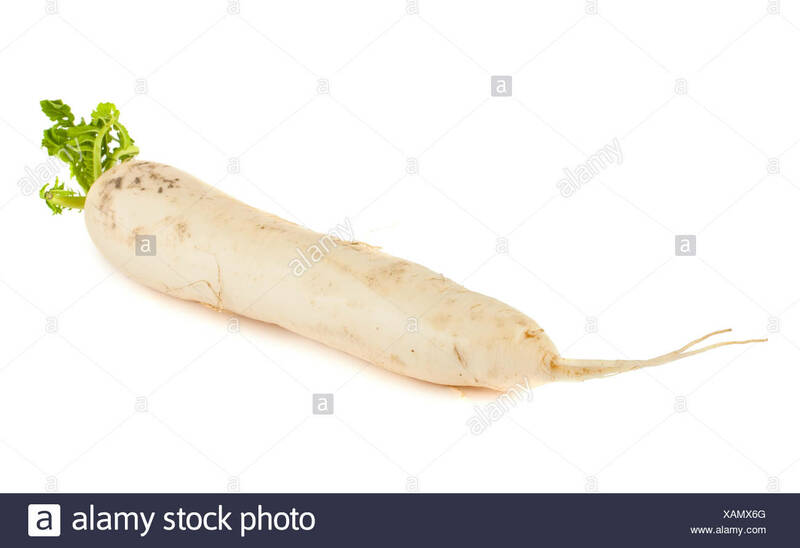 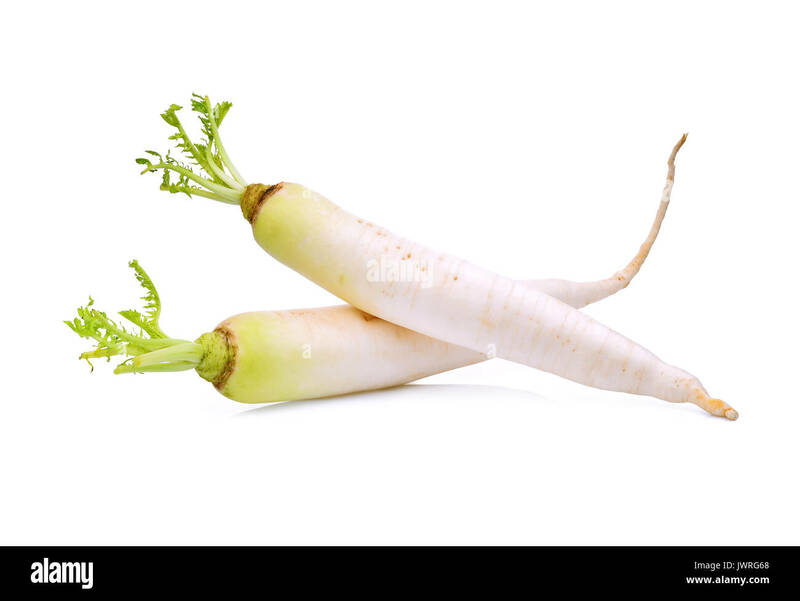 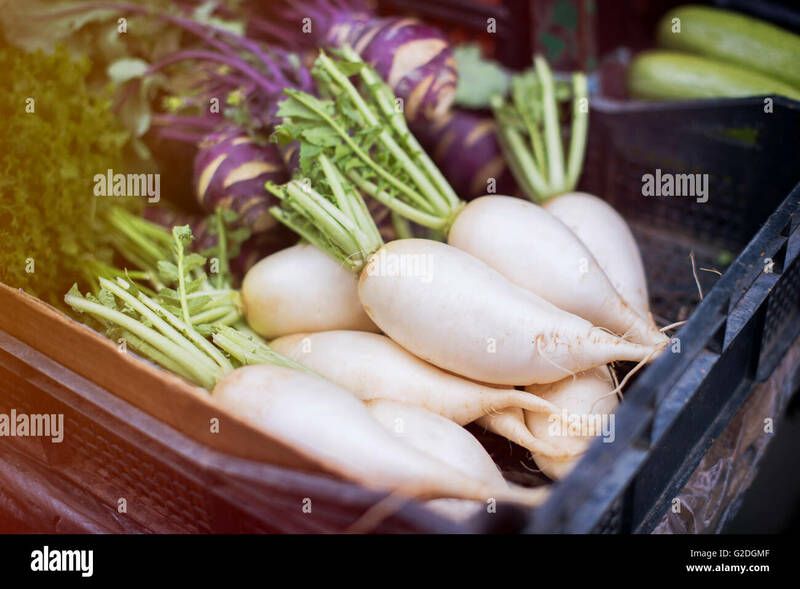 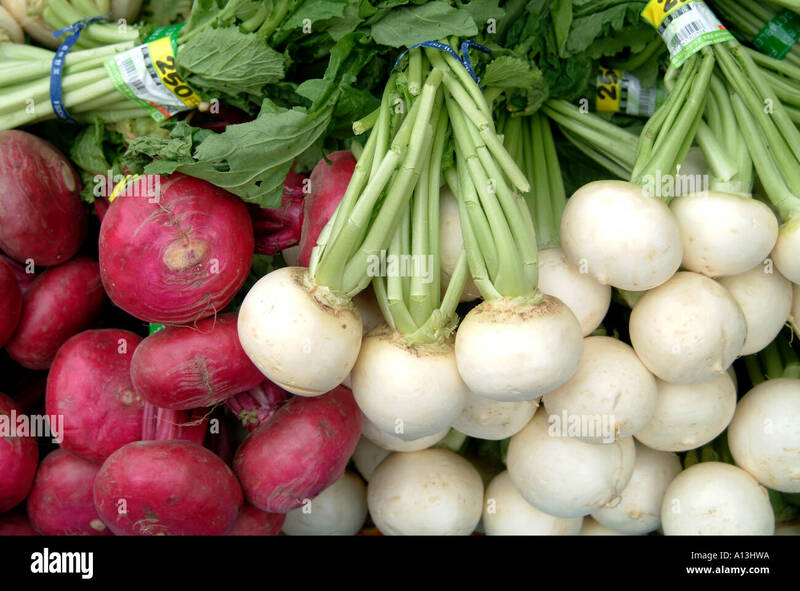 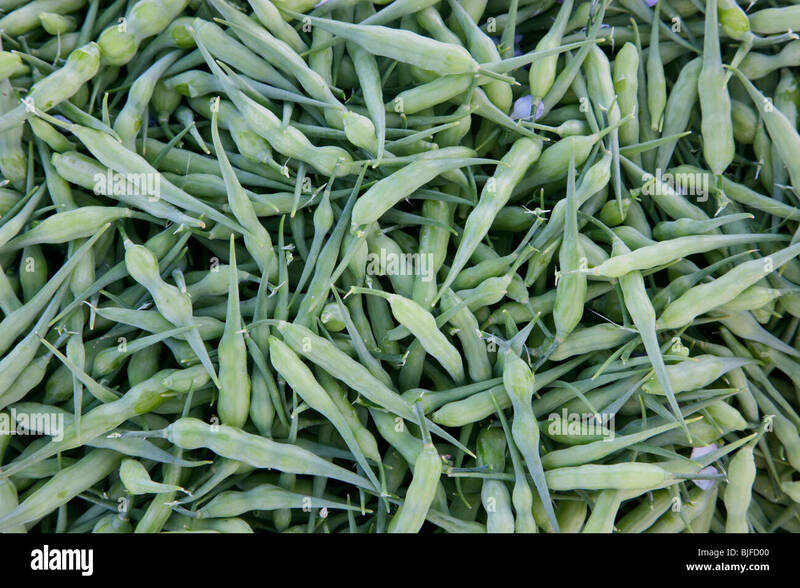 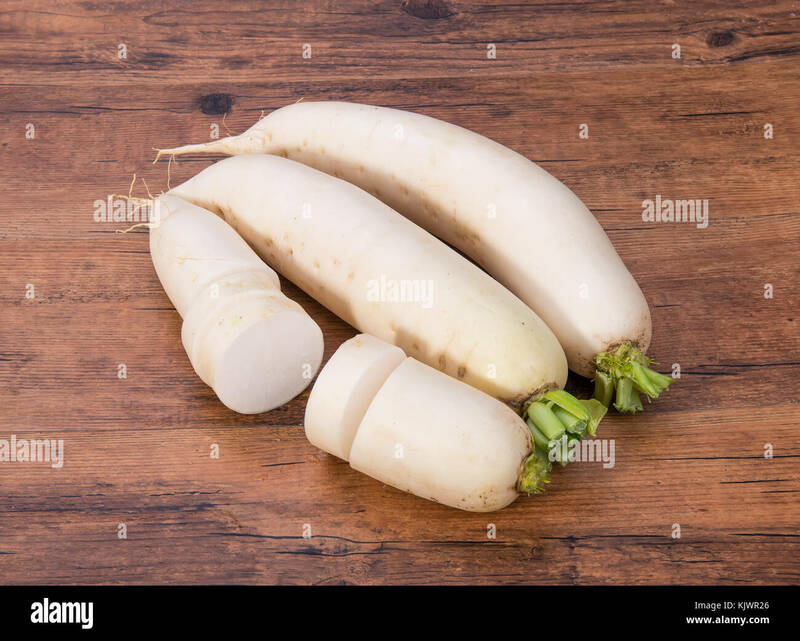 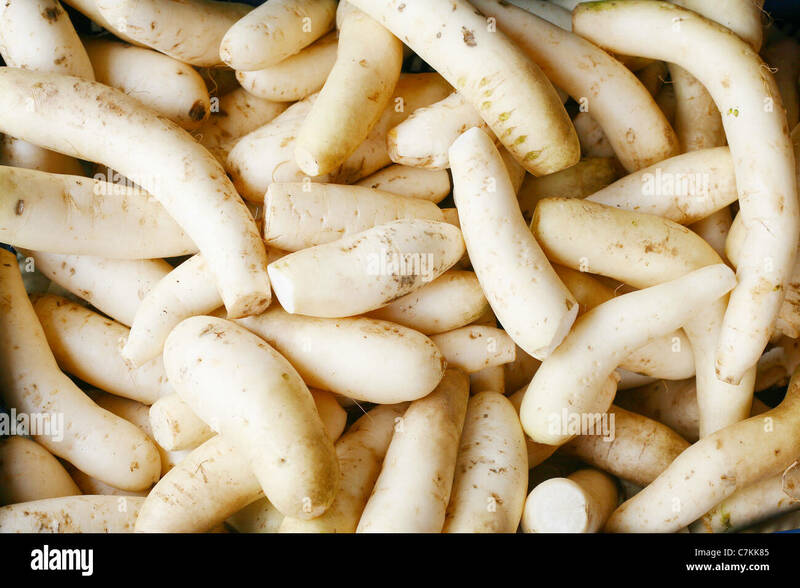 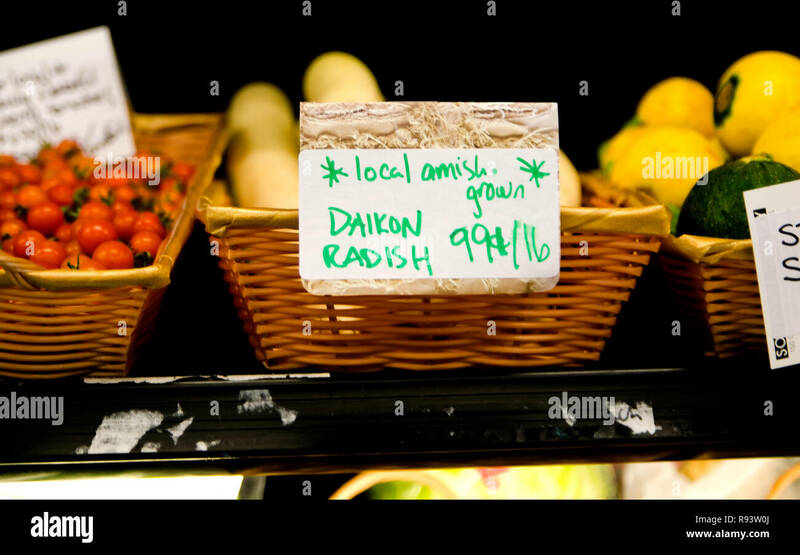 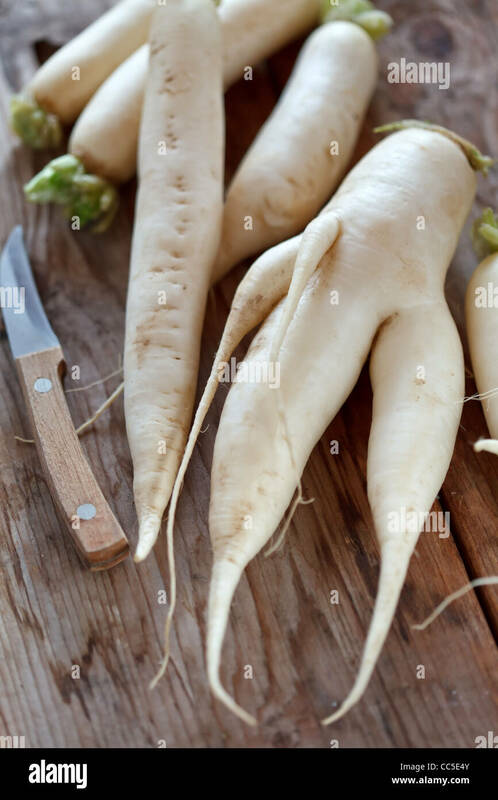 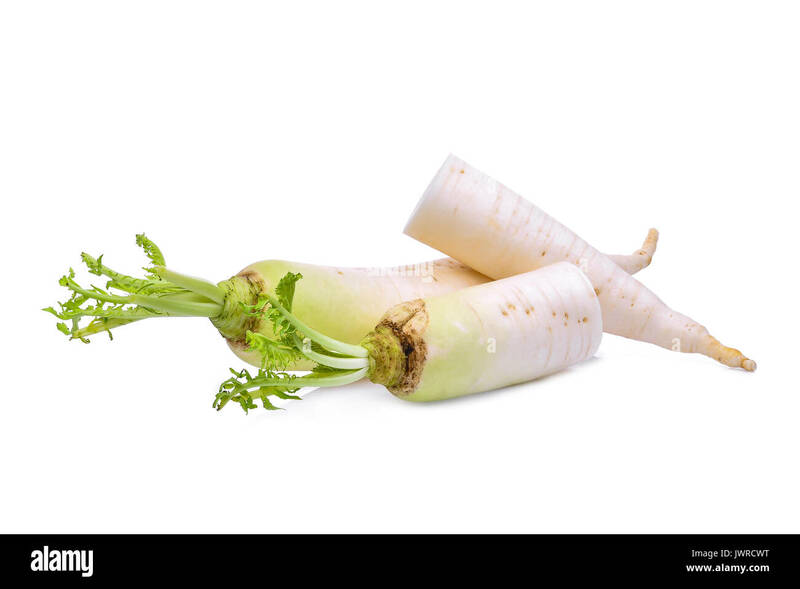 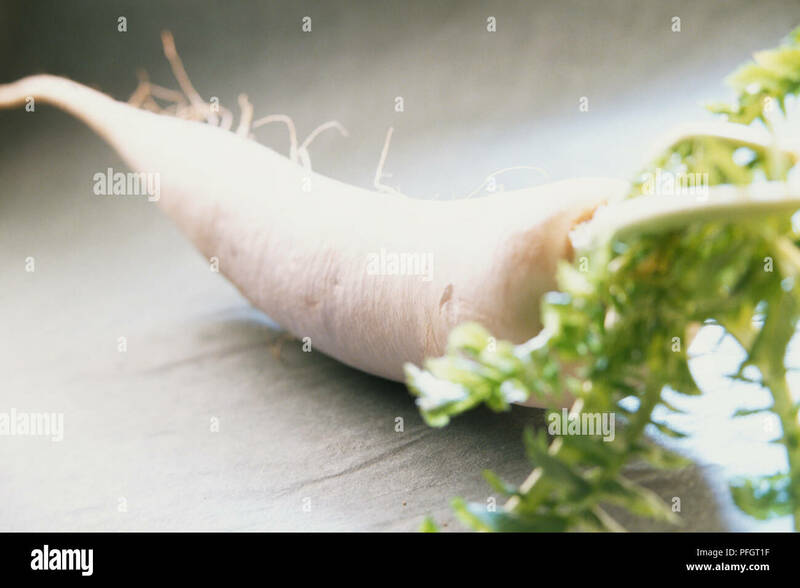 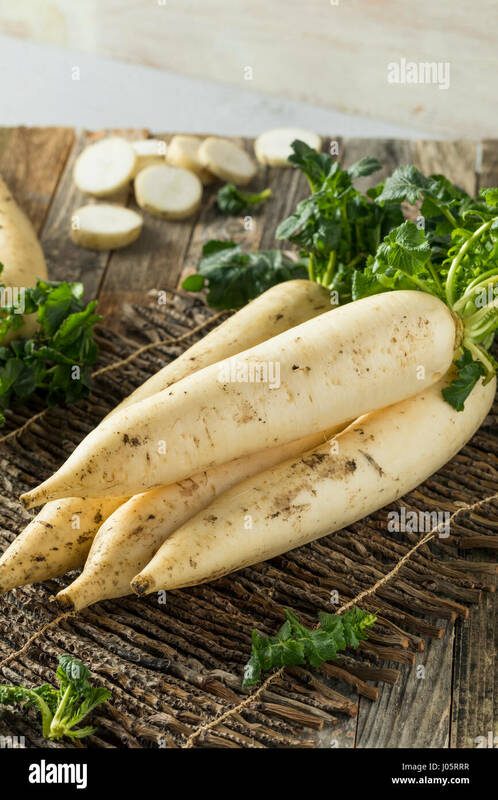 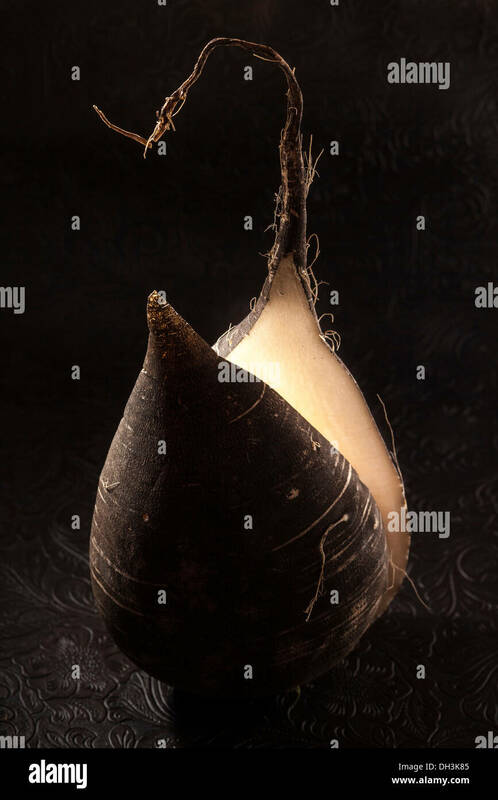 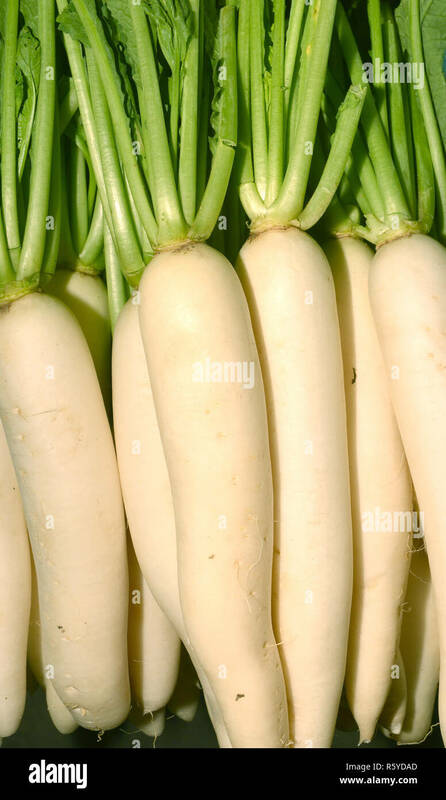 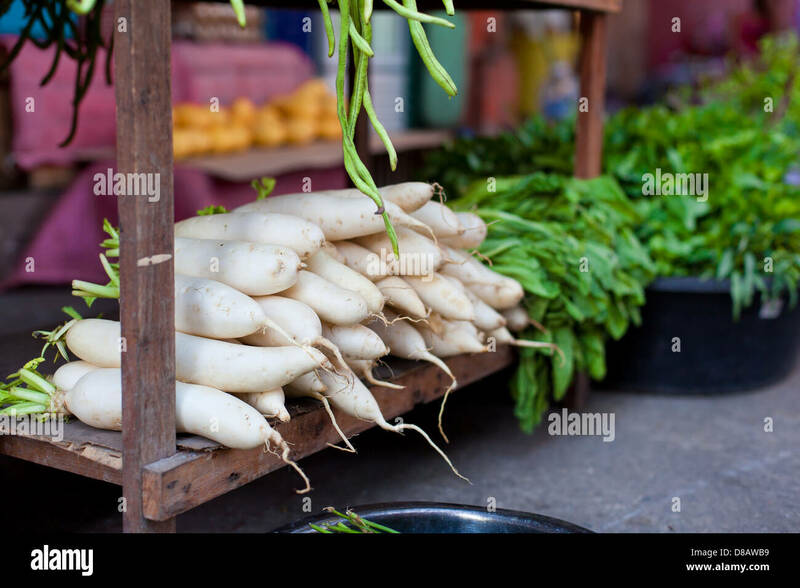 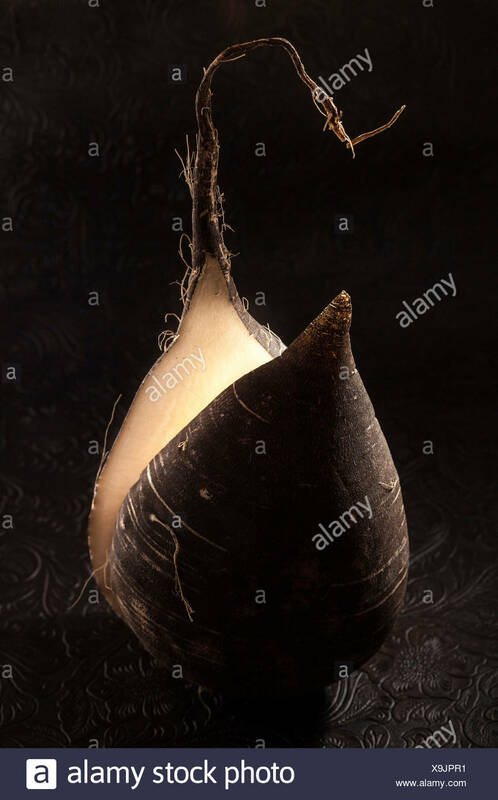 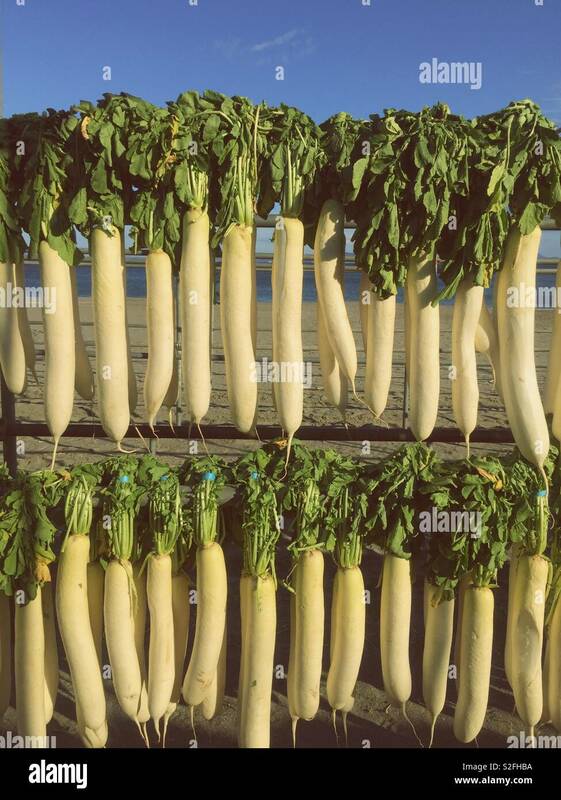 Raphanus sativus longipinnatus, Daikon, white radish with foliage, defocused. 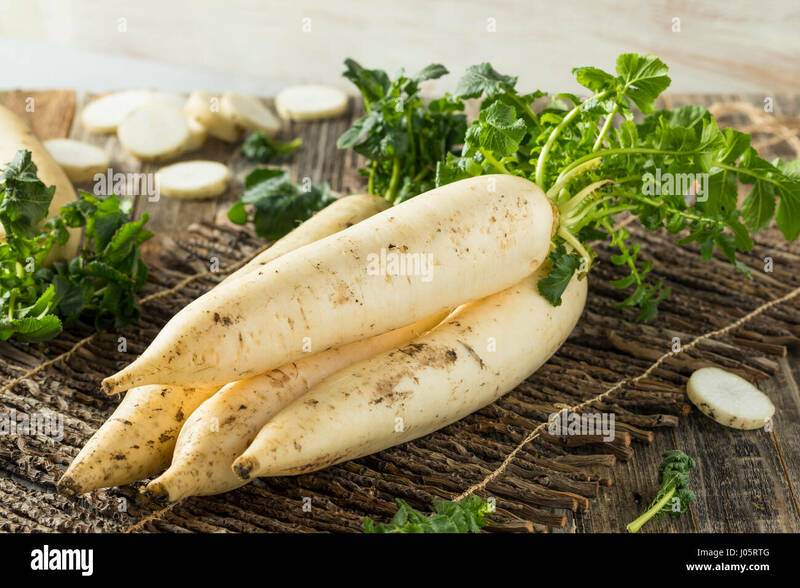 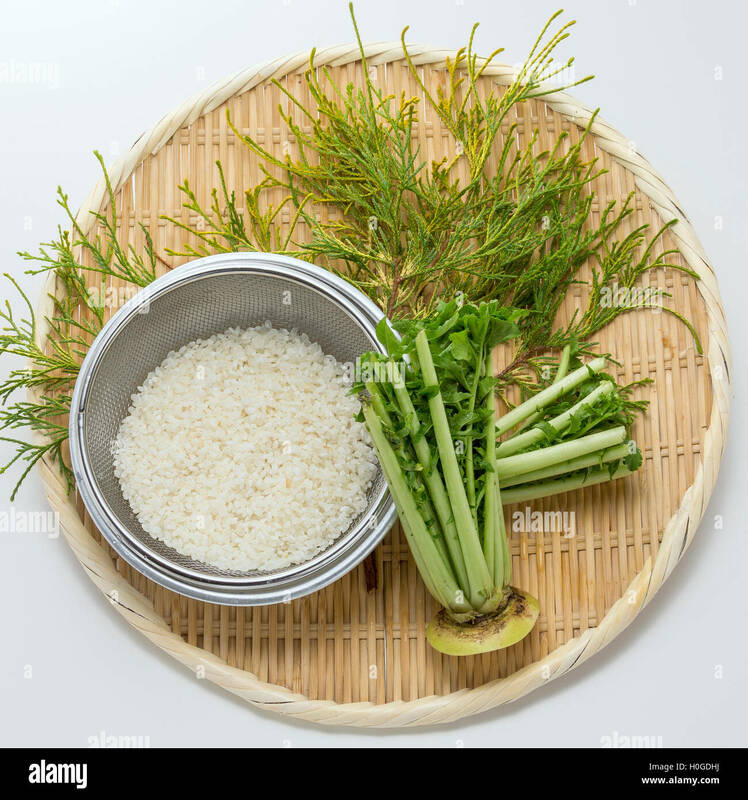 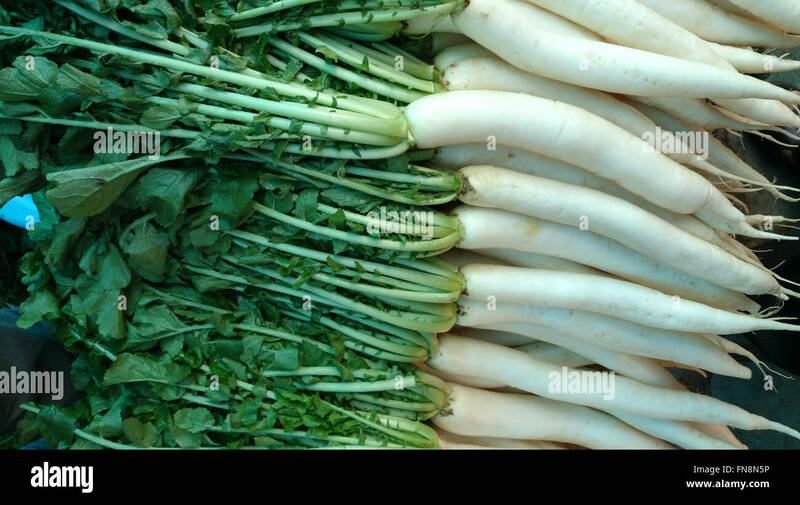 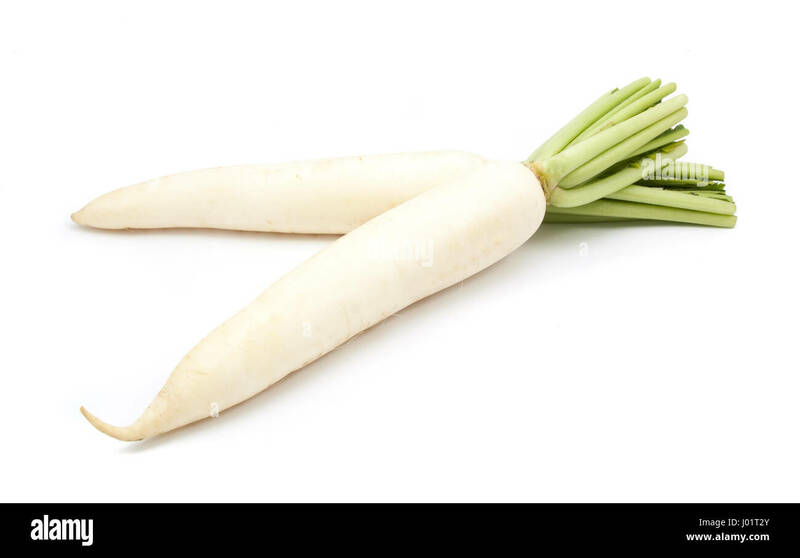 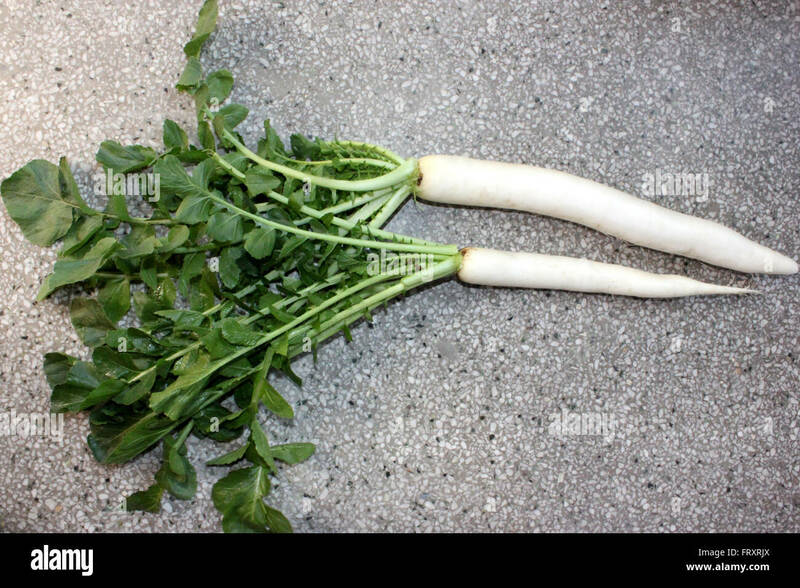 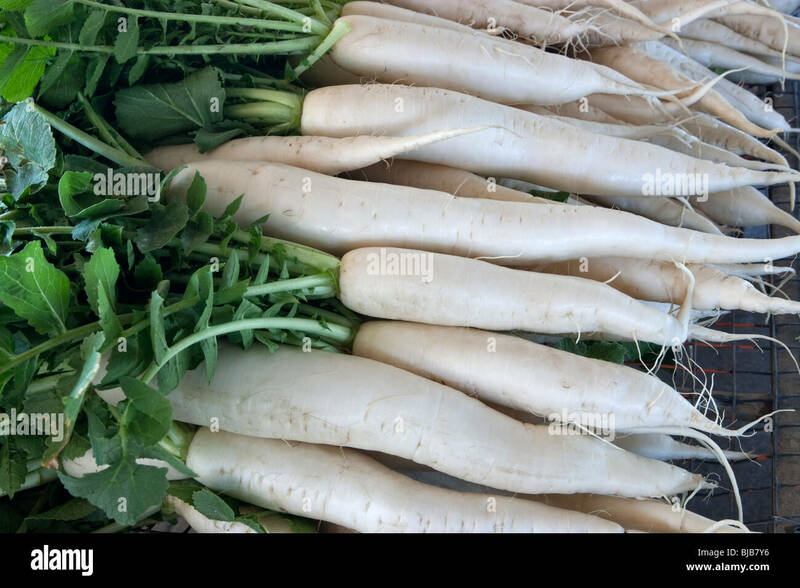 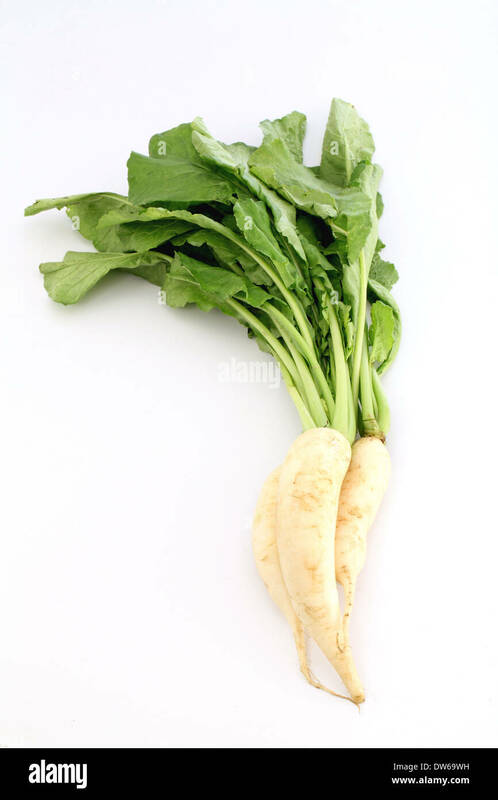 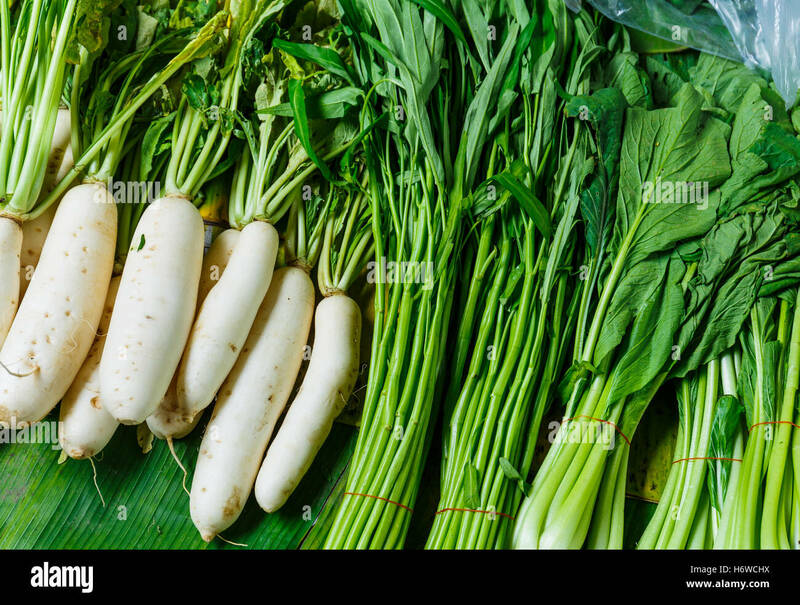 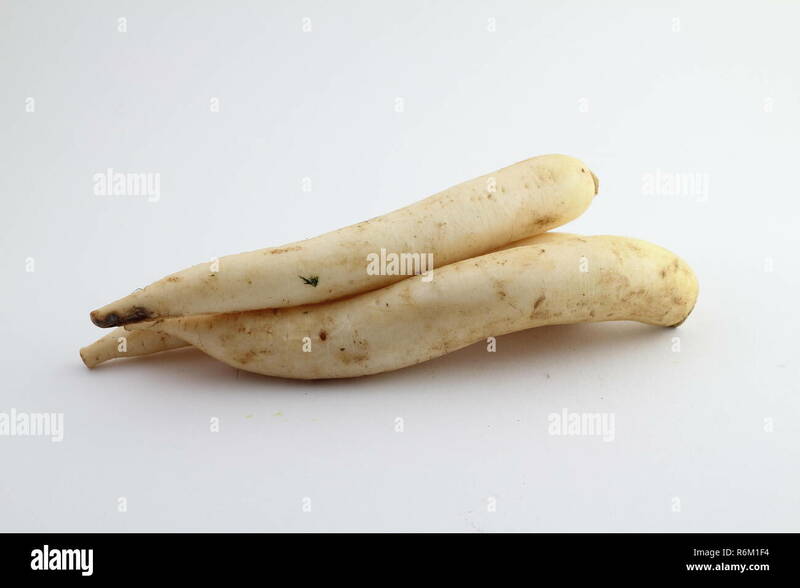 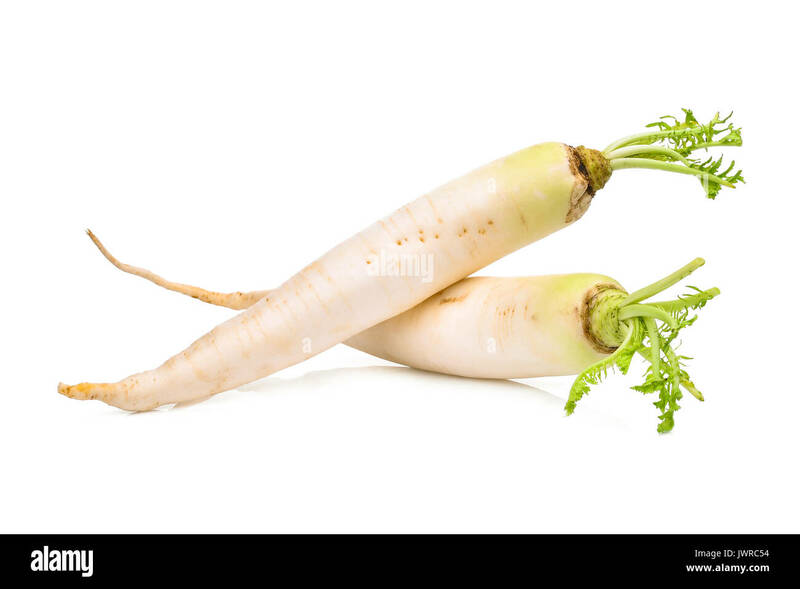 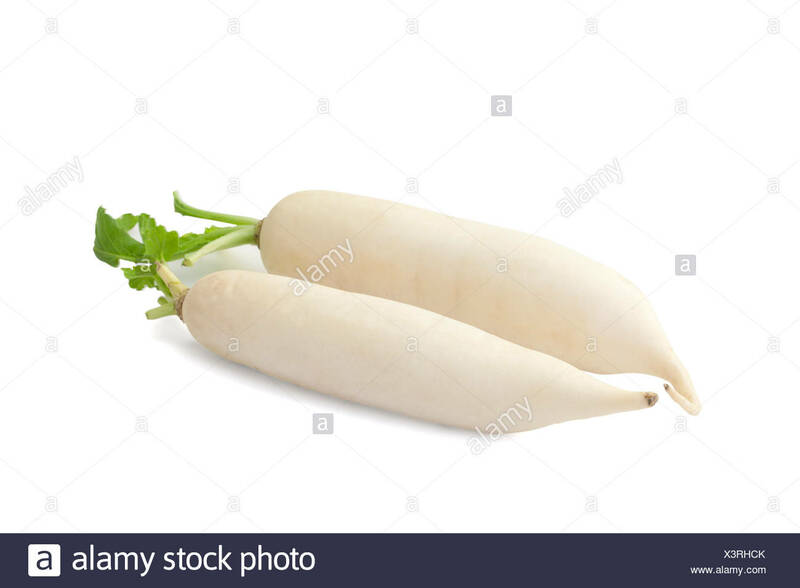 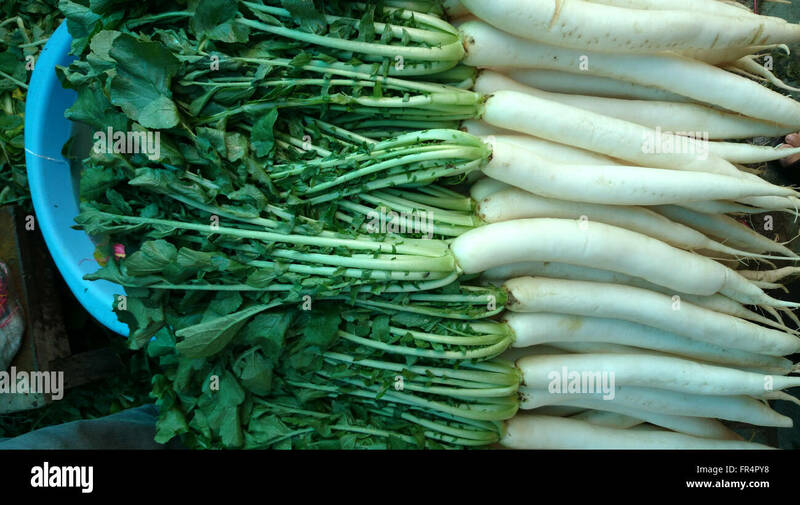 Daikon or white radish leaves and root, Raphanus sativus var. 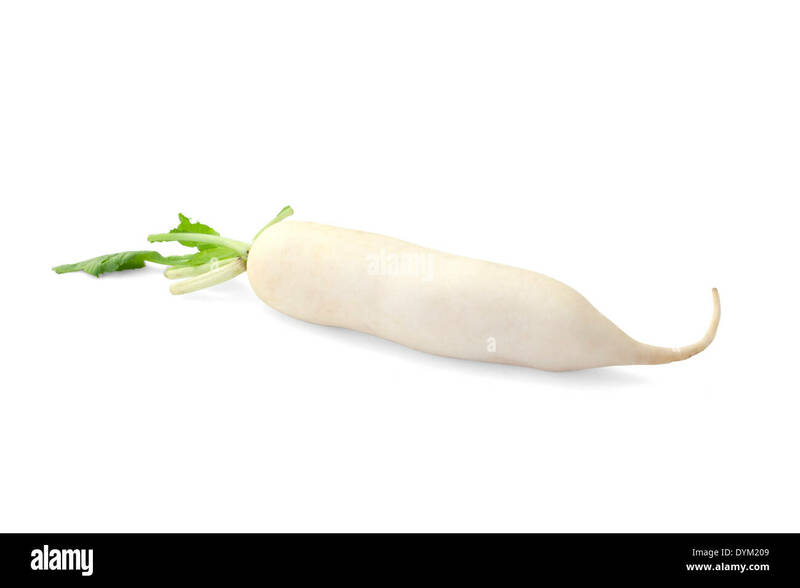 longipinnatus. 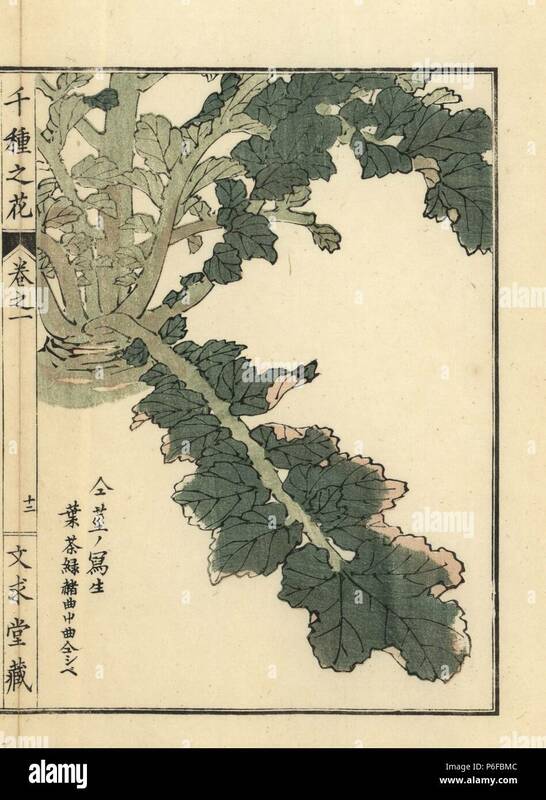 Handcoloured woodblock print by Kono Bairei from Senshu no Hana (One Thousand Varieties of Flowers), Bunkyudo, Kyoto, 1900. 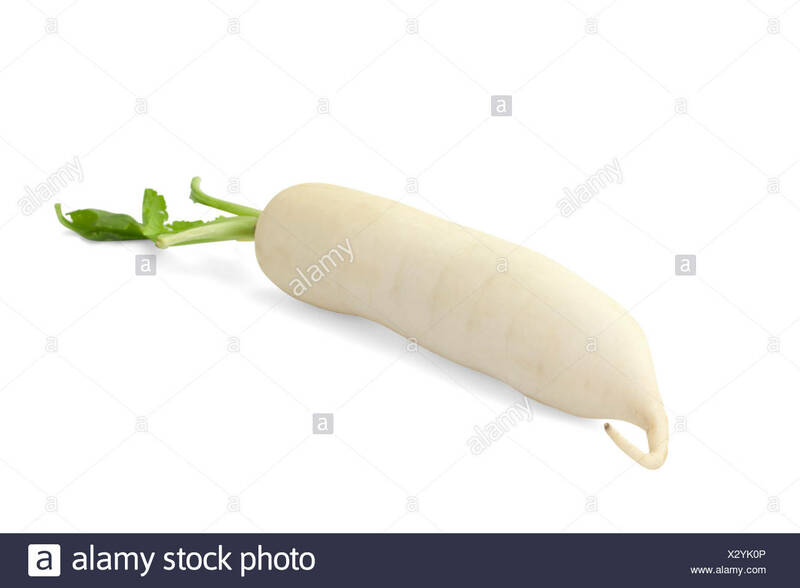 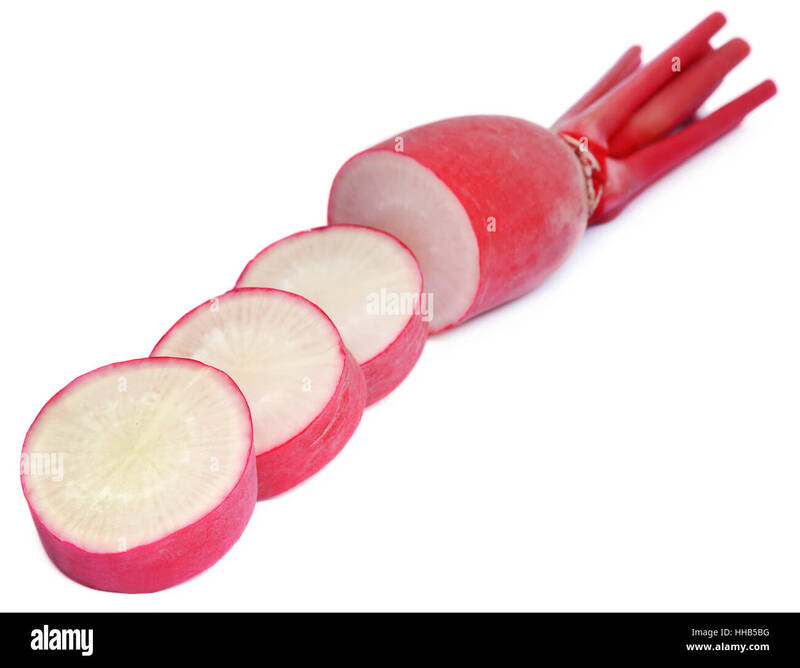 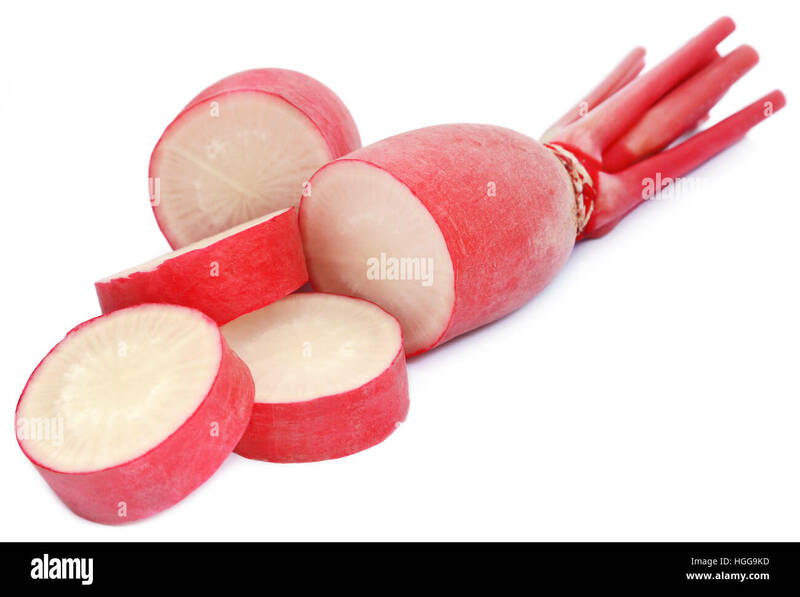 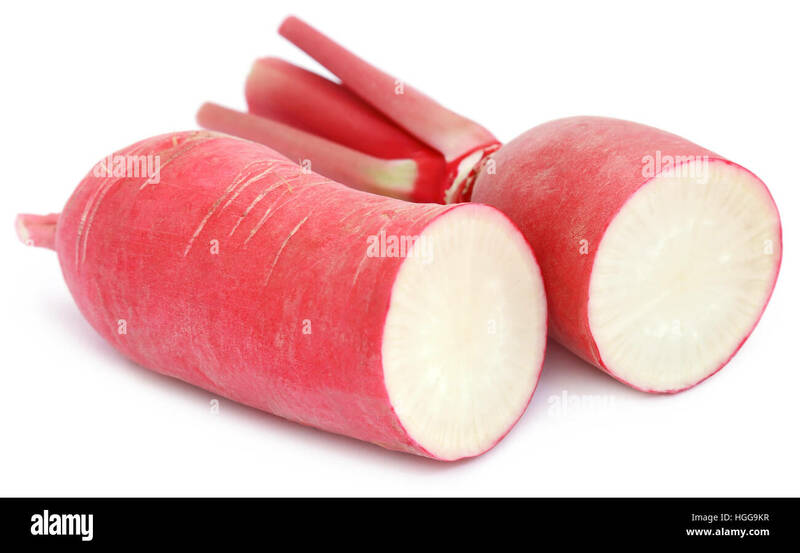 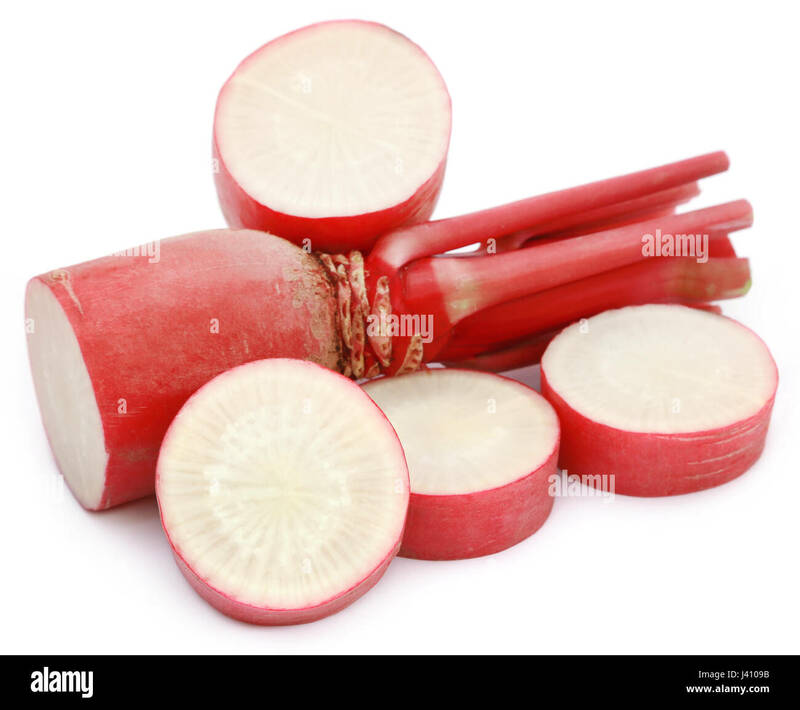 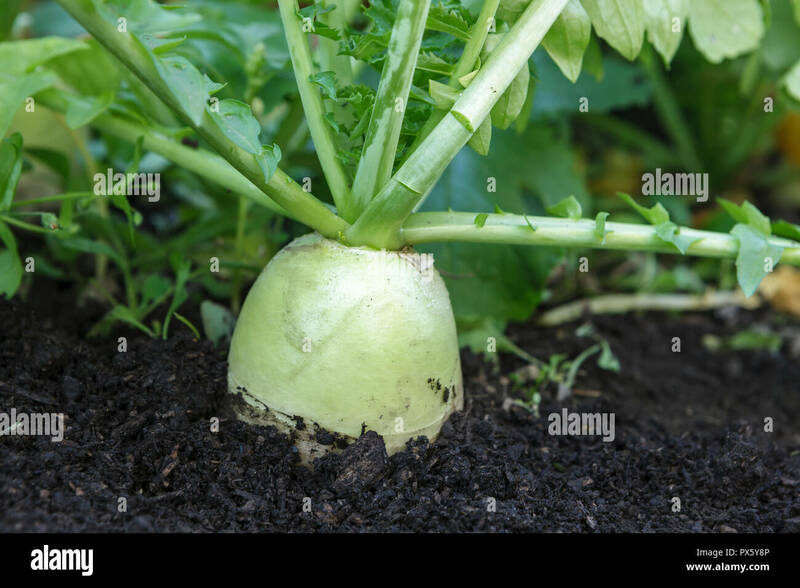 A large chinese radish is partly out of the soil in a garden. 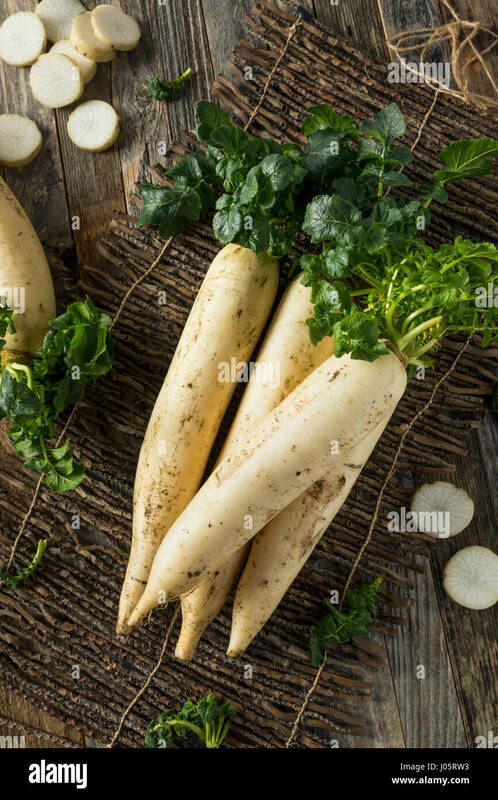 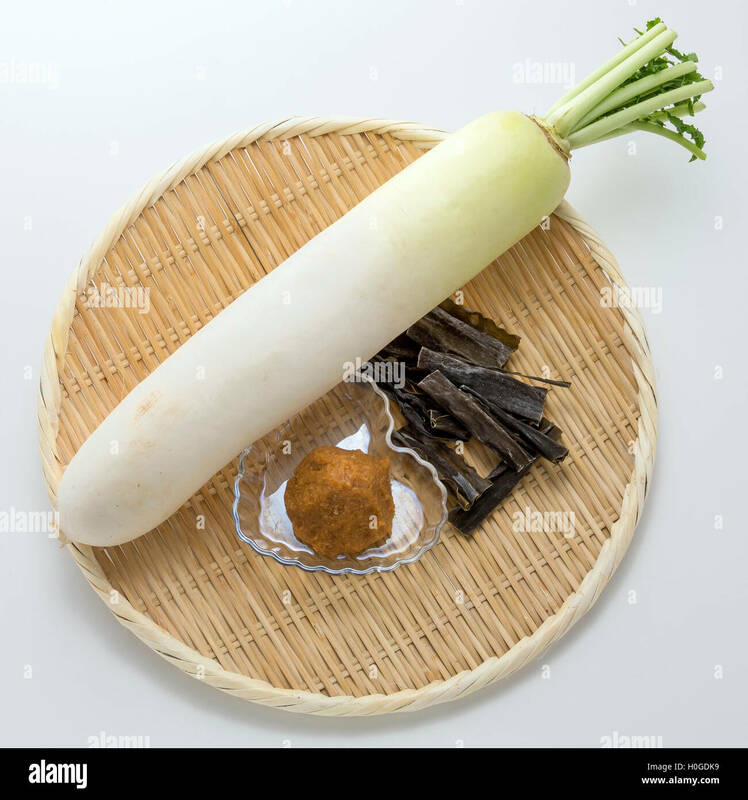 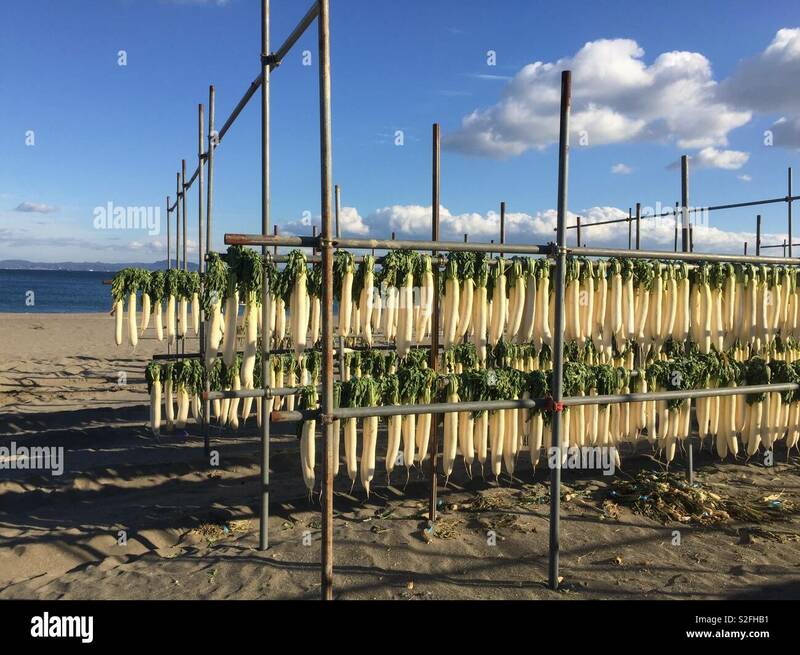 Daikon no hana or white radish flower, Raphanus sativus var. 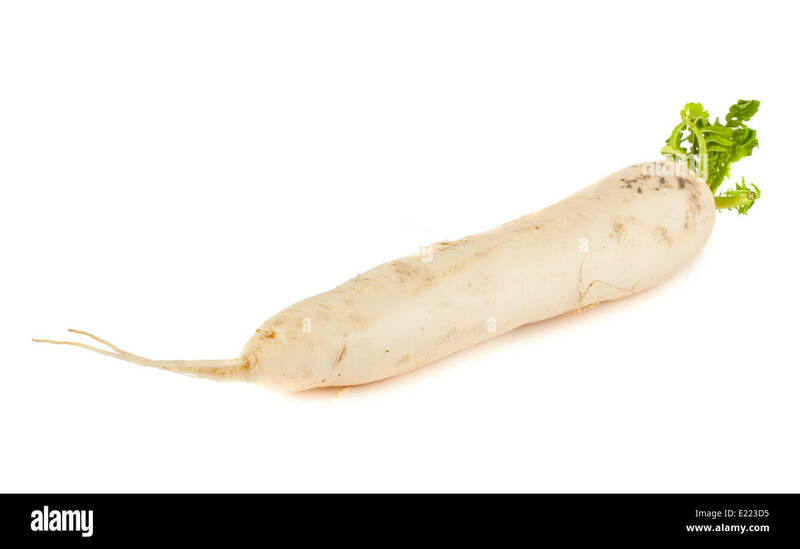 longipinnatus. 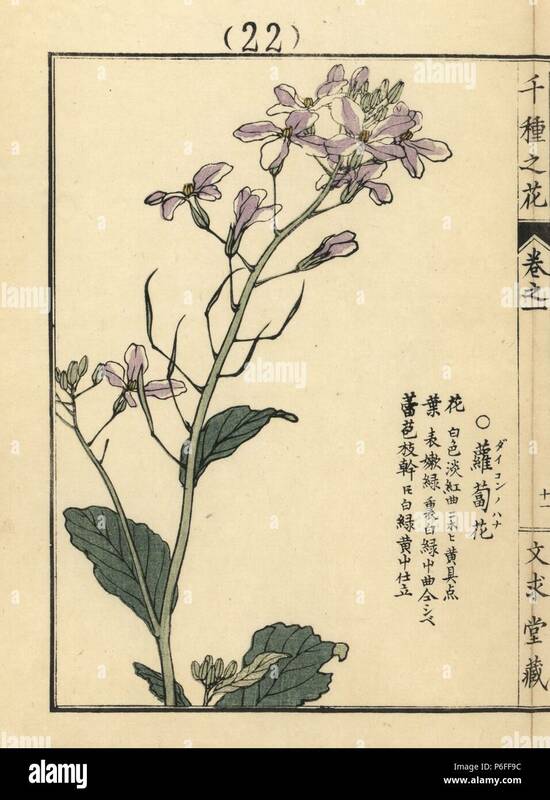 Handcoloured woodblock print by Kono Bairei from Senshu no Hana (One Thousand Varieties of Flowers), Bunkyudo, Kyoto, 1900. 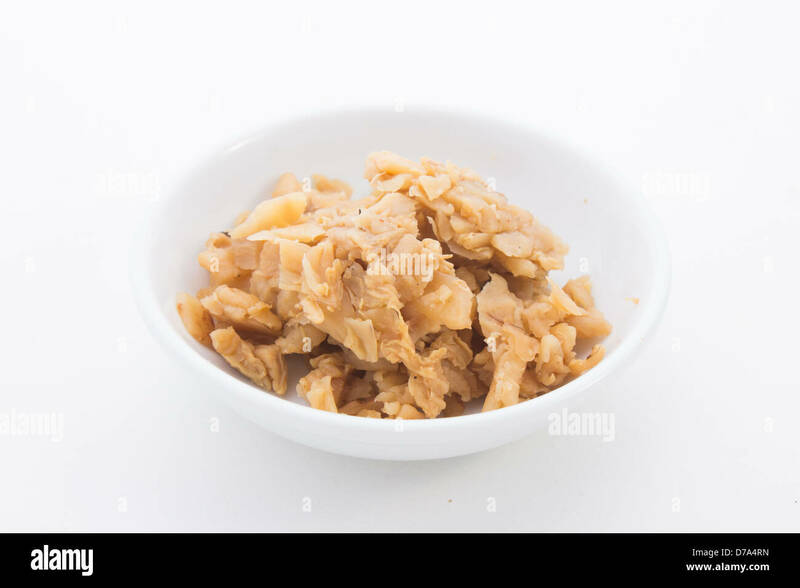 Close up of peanuts bunch. 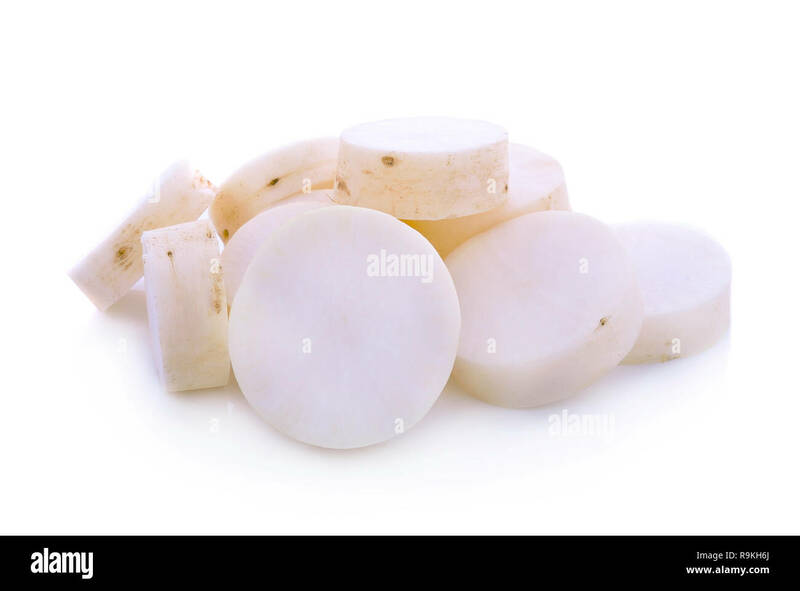 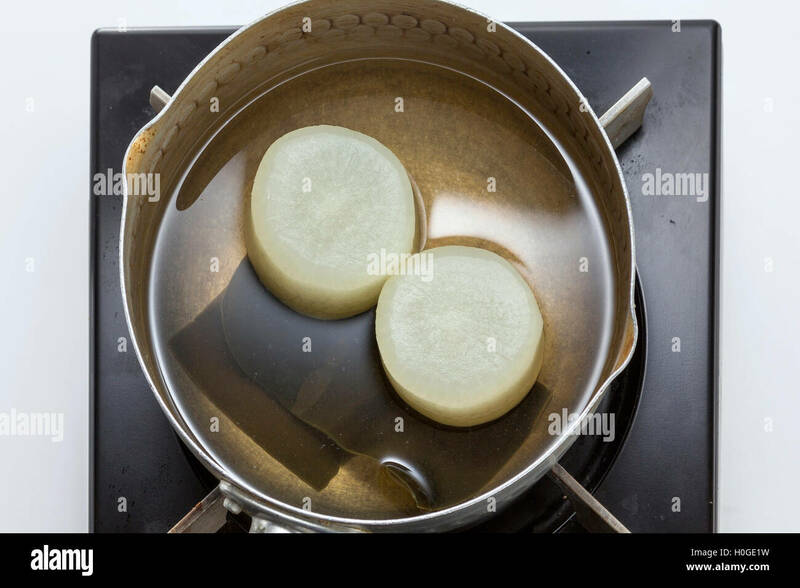 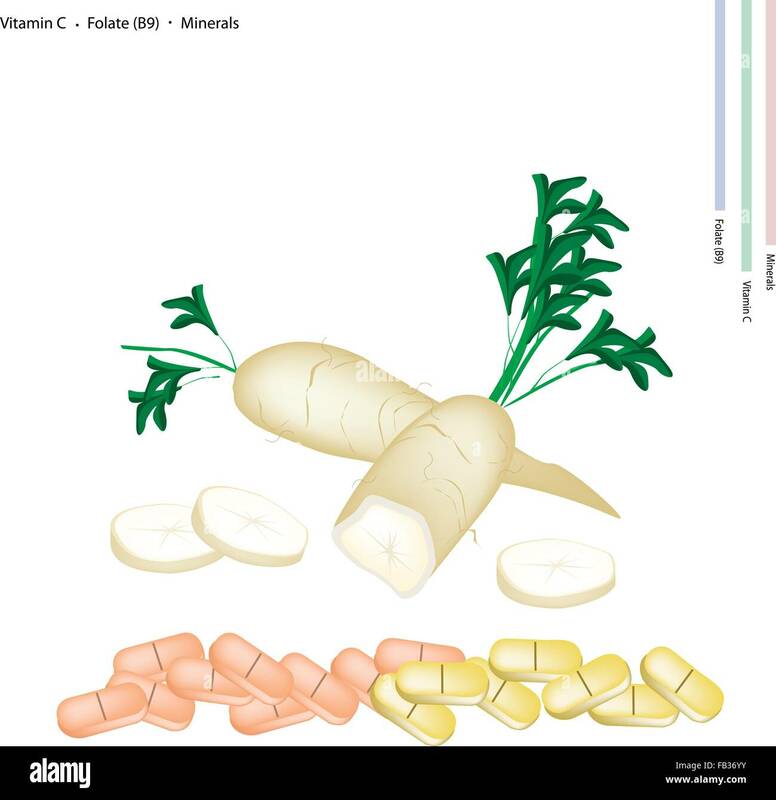 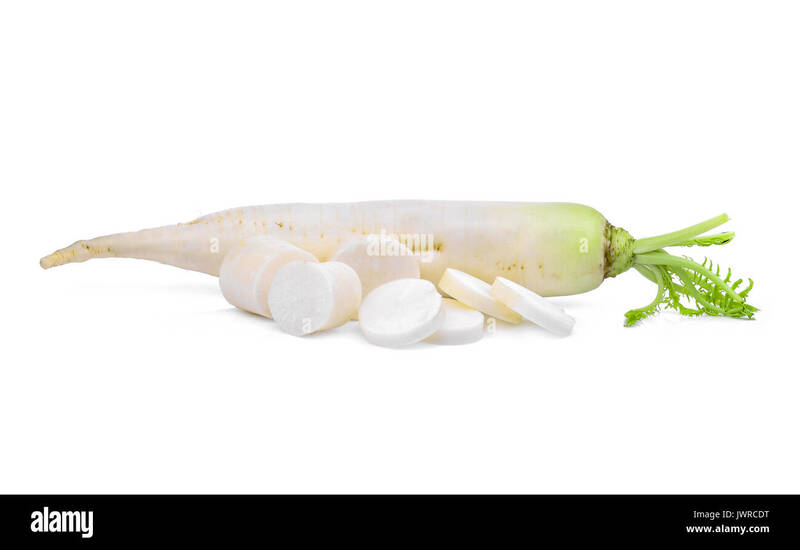 Healthcare Concept, Illustration of Daikon with Vitamin C, Folate or B9 and Minerals Tablet, Essential Nutrient for Life.